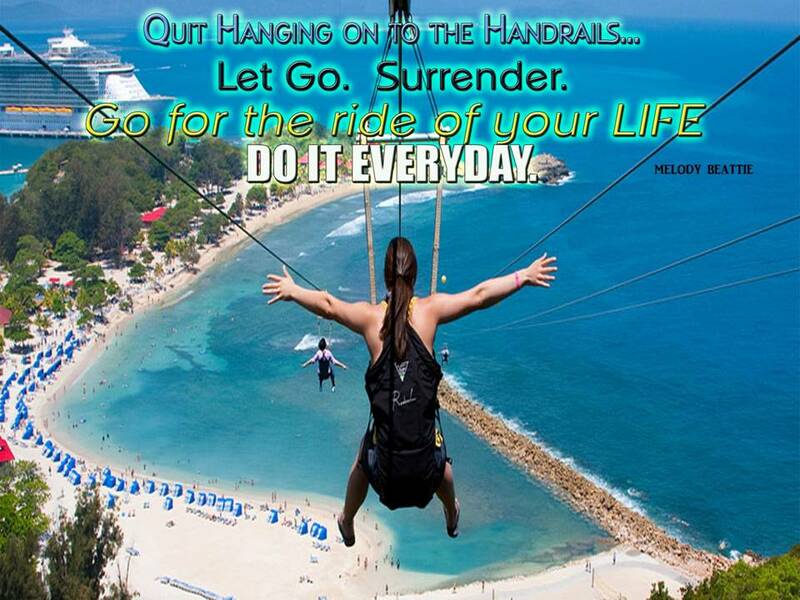 Are you ready to Give up and Grab Hold? The plow is sitting out in the field. It needs someone to grab hold and help steer. God provides the power, but He needs faithful disciples to grab hold. The decision to become a Disciple of Jesus Christ is not a decision you make lightly. Nor is it a decision you can forget about and go on your merry way. David had made a decision to follow God, follow so closely that God’s Heart would become David’s heart. God never let David forget that decision. God used test after test to reveal those things in David’s heart and life that were getting in the way of his Discipleship decision. If you make such a decision, God will do the same to you. God seeks to accomplish three things in the life of a Disciple. 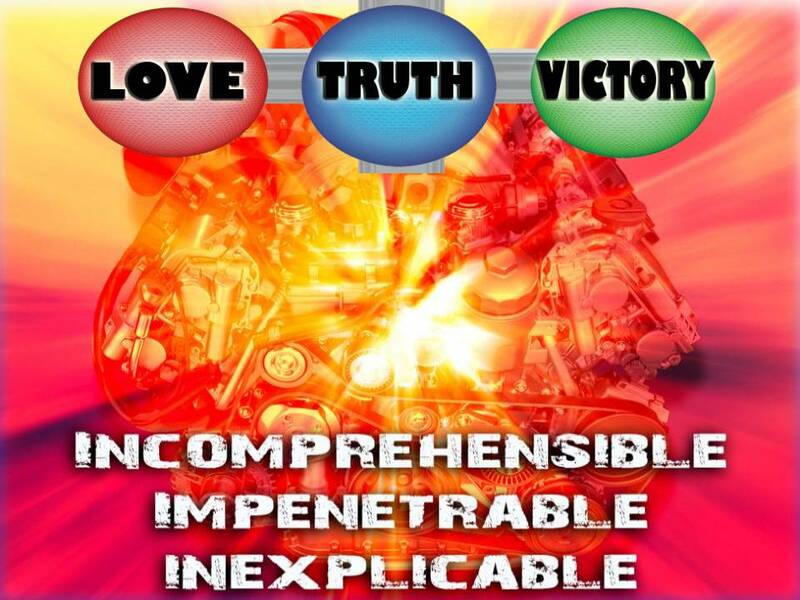 Those three things are revealed in Jer 9:24. They are “hesed, mishpat and tsedaqah”. He delights in these three things. These three things are His “good pleasure.” As Paul wrote: “work out your own salvation with fear and trembling, for it is God who works in you, both to will and to work for his good pleasure. (Phil 2:12b-13). If a disciple is to understand anything about God, it is that He will constantly be working in your life to accomplish these three things, for they are His “good pleasure.” If we are to boast in anything, it is only that we know and understand God, that He delights in these three things. God used every test that David faced to grow and develop these three things in his life. 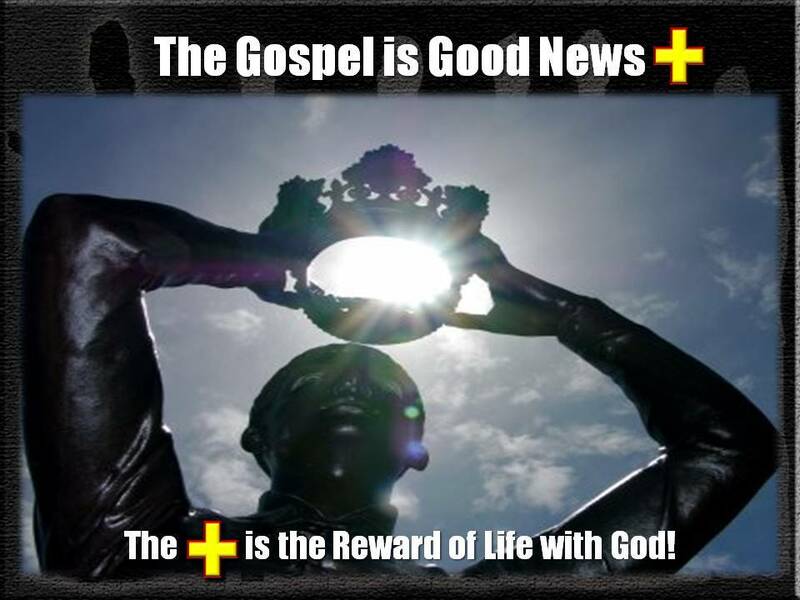 These three things are the very foundation of God’s Kingdom here on Earth, of Jesus’ Kingdom during the millennium, of the Kingdom that the Church has been charged to usher into this world. You may doubt the significance of these three things. I hope not. 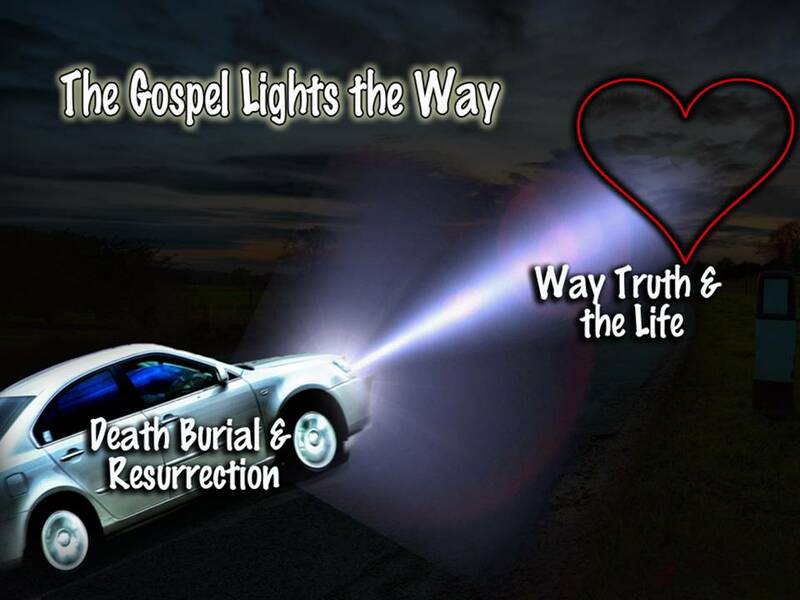 Ever since the Holy Spirit revealed this to me, the Word of God has shouted at me with LIFE! 40 years I have been in the Word, and I just last year saw this. I don’t find anyone teaching this on the internet or in writings. I believe it is truth God wants for our age. David revealed their importance in Psalm 106. A. They are the Grounds for Praise and Thanksgiving! His hesed is the basis of His mighty deeds and bountiful praise. We do nothing to earn it or deserve it. Justice is something we must covet, guard, desire, submit to. It is not of us but of God. Requires commitment of heart, soul and strength. 24/7 diligence. B. They are the Grounds for Favor and Salvation! The rest of Psalms 106 is a revelation of what happens when we resist hesed, mishpat and tsedaqah. 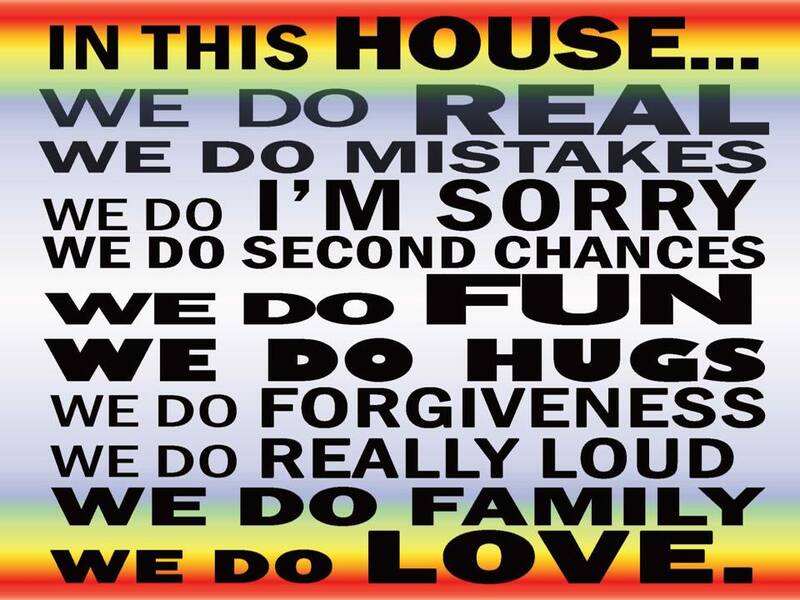 Psalm 106:6-48 We have sinned like our fathers, We have committed iniquity, we have behaved wickedly. Our fathers in Egypt did not understand Your wonders; They did not remember Your abundant kindnesses, But rebelled by the sea, at the Red Sea. Nevertheless He saved them for the sake of His name, That He might make His power known. 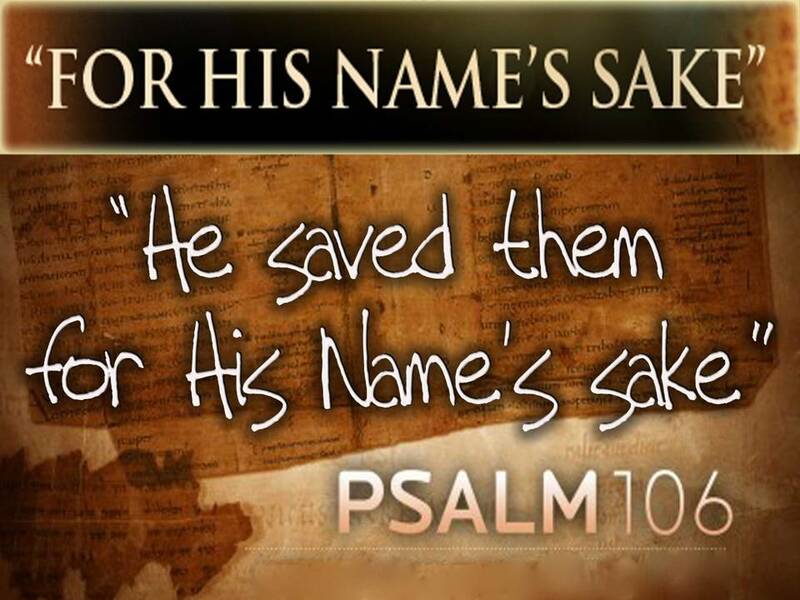 Psalm 106:8 Nevertheless he saved them for his name’s sake, that he might make his mighty power to be known. They quickly forgot His works; They did not wait for His counsel, But craved intensely in the wilderness, And tempted God in the desert. They forgot God their Savior, Who had done great things in Egypt, Wonders in the land of Ham And awesome things by the Red Sea. Then they despised the pleasant land; They did not believe in His word, But grumbled in their tents; They did not listen to the voice of the LORD. Therefore He swore to them That He would cast them down in the wilderness, And that He would cast their seed among the nations And scatter them in the lands. They also provoked Him to wrath at the waters of Meribah, So that it went hard with Moses on their account; Because they were rebellious against His Spirit, He spoke rashly with his lips. They did not destroy the peoples, As the LORD commanded them, But they mingled with the nations And learned their practices, And served their idols, Which became a snare to them. They even sacrificed their sons and their daughters to the demons, And shed innocent blood, The blood of their sons and their daughters, Whom they sacrificed to the idols of Canaan; And the land was polluted with the blood. Nevertheless He looked upon their distress When He heard their cry; And He remembered His covenant for their sake, And relented according to the greatness of His loving-kindness. Even in Judgment He Loved them because of His Name! 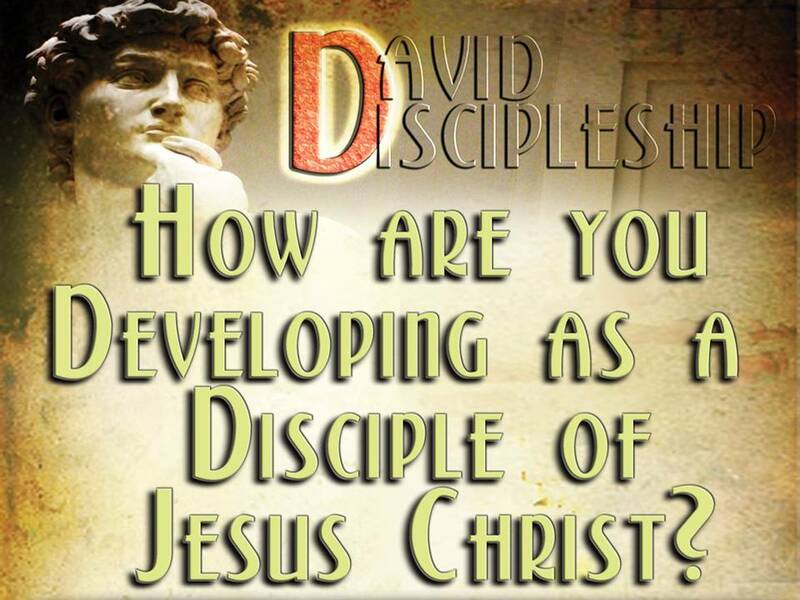 Discipleship is simply the following of God’s Name with all our heart, soul and strength! He also made them objects of compassion In the presence of all their captors. Save us, O LORD our God, And gather us from among the nations, To give thanks to Your holy name And glory in Your praise. Blessed be the LORD, the God of Israel, From everlasting even to everlasting. And let all the people say, “Amen.” Praise the LORD! The Journey through the Wilderness provides us everything we need to learn about what will prevent us from becoming Disciple’s of Jesus Christ. 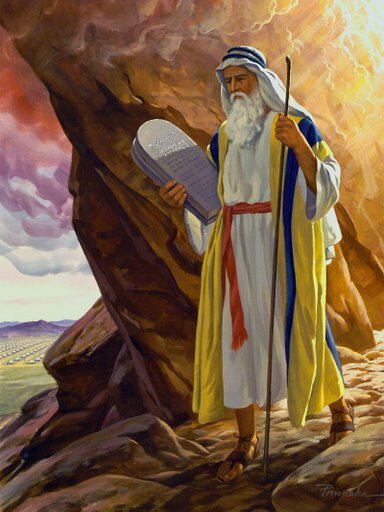 The Hebrew’s being led by Moses constantly resisted God, and so refused to advance in hesed, mishpat and tsedaqah. Last week we left David “hasaq(ing)” himself in Yahweh Elohim. Instead of becoming angry at God because of what had happened, David humbled himself, confessed his sins, and reached up to God, counting on His hesed, committing himself to following His justice and claiming His righteousness! David then called for the Priest, Abiathar, to enquire of the Lord with the Ephod. 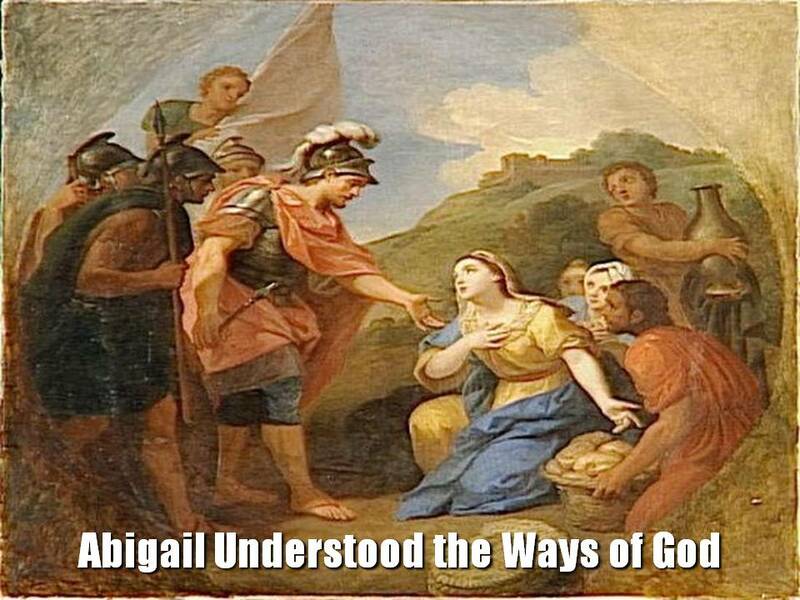 God gae instruction to pursue the raiders, and God assured David he would overtake them and rescue all of their families. God then led them to find an Egyptian slave who had been left behind due to a divinely appointed sickness. He gave David the intel they needed. They pursued and found the Amelikites scattered and revelling in their good fortune. They were easily defeated by David and his men. And as God had promised, nothing was lost, not even one toe nail of their families and possessions. In fact there was great spoil taken over and above what they had lost. David and his men, their wives and children returned to Ziklag, and even divided things evenly, even with the men who had been too discouraged to pursue. (This represents a principle of Victory-it benefits everyone, especially those disciples who are weak with discouragement, or are simply feeding or working in the nursery, teaching the kids) Following the Lord in victory brings strength and bounty to all. I want us to realize (as we’ll see), that with God, Victory results in Righteousness. Righteousness results in Victory. When even a few stand in Righteousness, the whole is benefited. When no one stands in Righteousness, the whole suffers terribly. However, only one kind of Righteousness is truly Victory. That is the Righteousness that comes from God alone. Righteousness which is by Faith alone. There is no room for self-righteousness or self-effort. David also shared the Victory with all those who had strengthened him along the way. 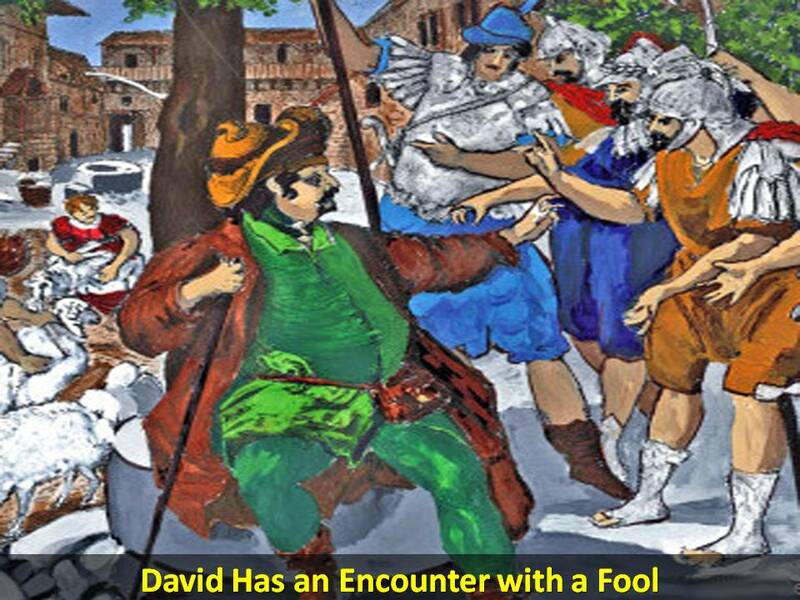 David was back and battling against the enemies of the Lord! He wanted Judah to know it, that they could count on him when it came to battles against the enemies of the Lord. David was also showing his thankfulness to God and the people who had been a source of encouragement all those years. When we are zealous for the Lord, we will be zealous in our gratitude for those who encourage us. Unto the elders of Judah—These were the persons among whom he sojourned during his exile, and who had given him shelter and protection. Gratitude required these presents. The Philistines, finding Saul and his three sons among the slain, strip them of their armor, which they put in the house of Ashtoreth, cut off their heads, send the news to all the houses of their idols, and fasten the bodies of Saul and his three sons to the walls of Beth-shan, vv. 8-10. Valiant men of Jabesh-gilead go by night, and take away the bodies; burn them at Jabesh; bury their bones under a tamarisk tree; and fast seven days, vv. 11-13. Here is David, expressing a heart that holds no bitterness for the way he had been treated. Here is a grateful heart, a heart that is submissive to God, and so he can praise King Saul with an upright heart. God’s hesed was certainly at work in David’s heart! David, by the direction of God, goes up to Hebron, and is there anointed king over the house of Judah, vv. 1-4. He congratulates the inhabitants of Jabesh-gilead on their kindness in rescuing the bodies of Saul and his sons from the Philistines, vv. 5-7. 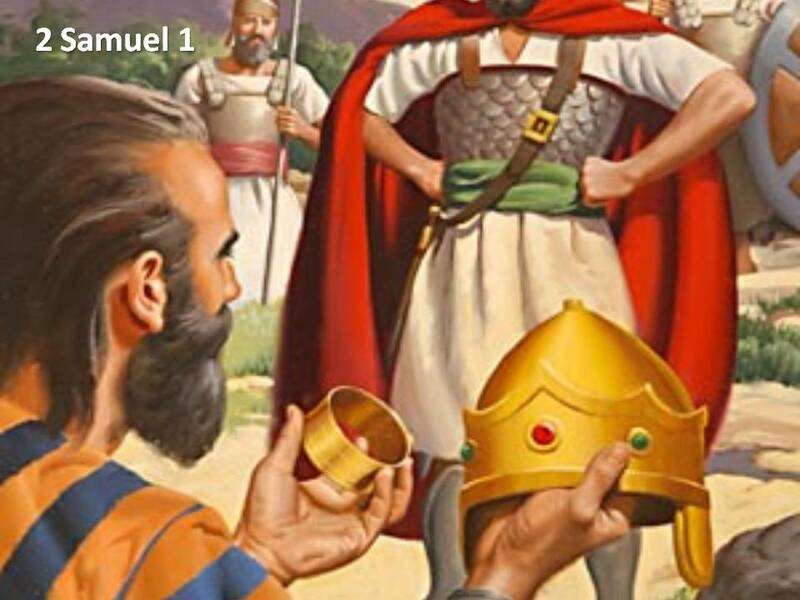 Abner anoints Ish-bosheth, Saul’s son, king over Gilead, the Ashurites, Jezreel, Ephraim, Benjamin, and all Israel; over whom he reigned two years, vv. 8-10. David reigns over Judah, in Hebron, seven years and six months, v. 11. Account of a battle between Abner, captain of the Israelites, and Joab, captain of the men of Judah; in which the former are routed with the loss of three hundred and sixty men: but Asahel, the brother of Joab, is killed by Abner, vv. 12-32. 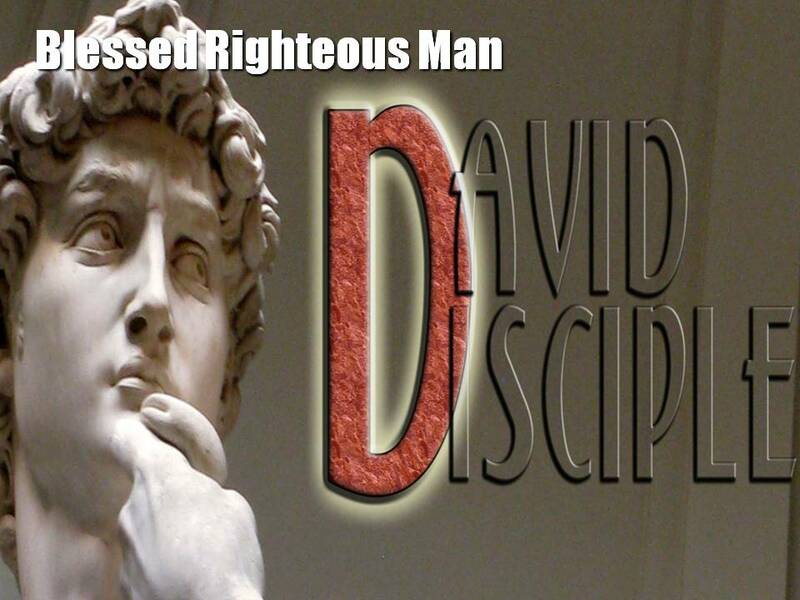 After 10 years of being on the run, going through every test a disciple could imagine, David is ready to reign as King. 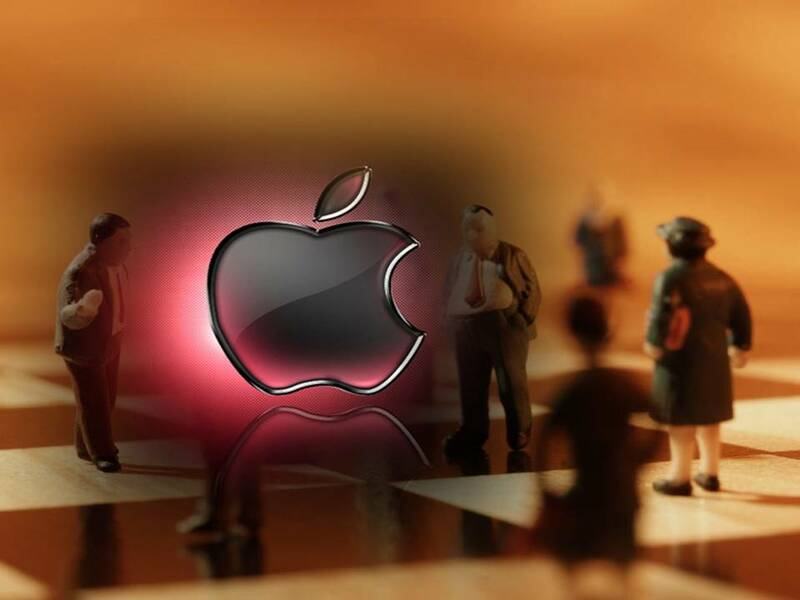 The Kingdom is still divided. 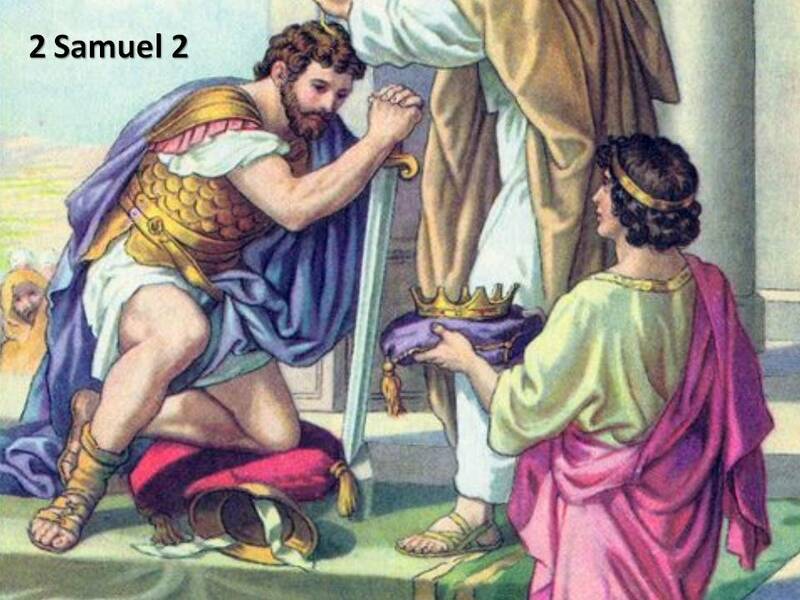 Abner has put one of Saul’s sons as King over the Northern tribes. But for the next 7 years, Saul’s house will decline, while David’s will increase. 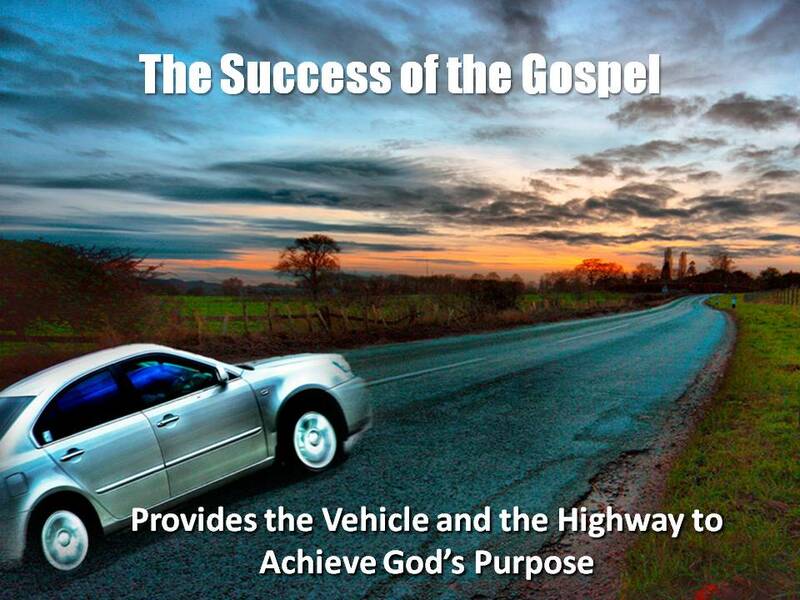 Why did David Succeed where Saul Failed? It began as a young shepherd who fell in love with God and His Law. As he meditated on the Law, God brought all these wonderful insights into his life. He observed and learned the Ways of God. The Law became the Psalms. The statutes became testimonies of God’s Word in David’s life! 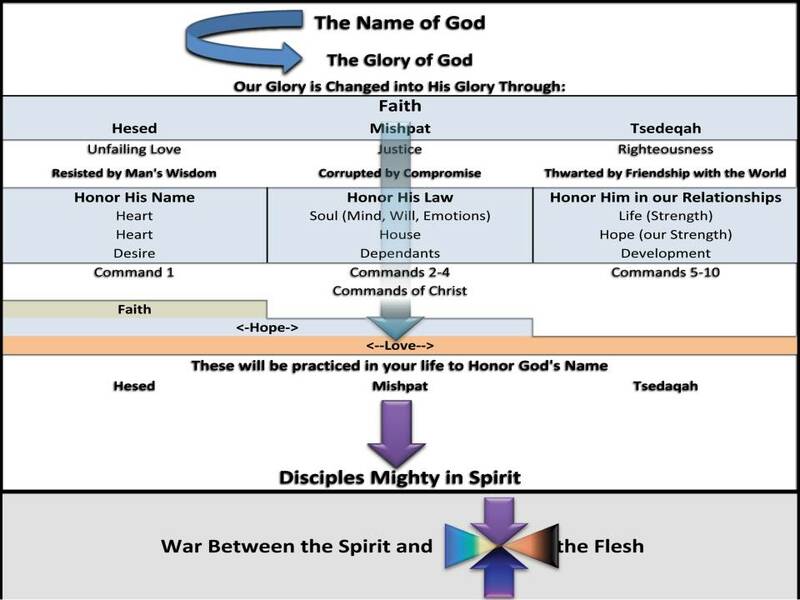 David saw the importance of hesed, mishpat and tsedaqah! Psalm 19:7-11 The law of the LORD is perfect, converting the soul; The testimony of the LORD is sure, making wise the simple; The statutes of the LORD are right, rejoicing the heart; The commandment of the LORD is pure, enlightening the eyes; The fear of the LORD is clean, enduring forever; The judgments of the LORD are true and righteous altogether. More to be desired are they than gold, Yea, than much fine gold; Sweeter also than honey and the honeycomb. Moreover by them Your servant is warned, And in keeping them there is great reward. 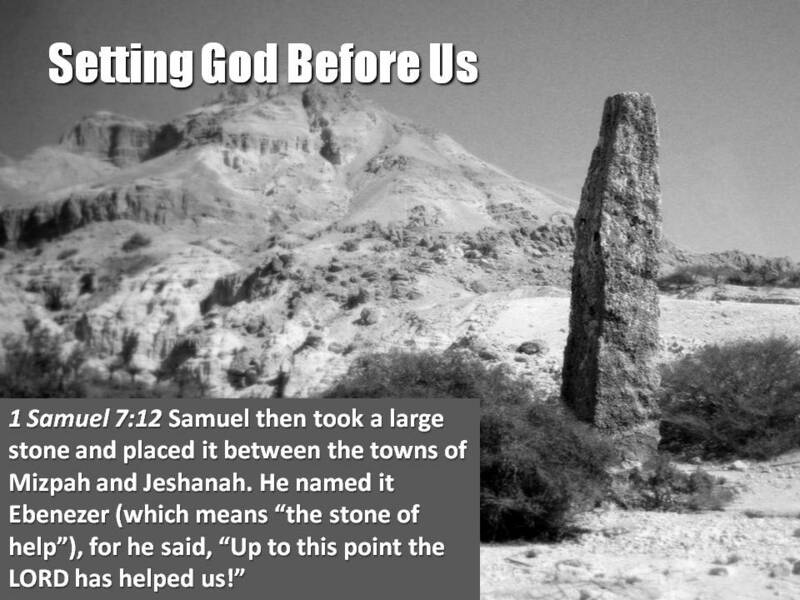 David’s very life became a testimony to God Law and the mishpat that it contains. “The mishpat of the Lord is true and righteous, more to be desired than honey, or even fine Gold. In keeping His mishpat there is great reward,” and Victory! 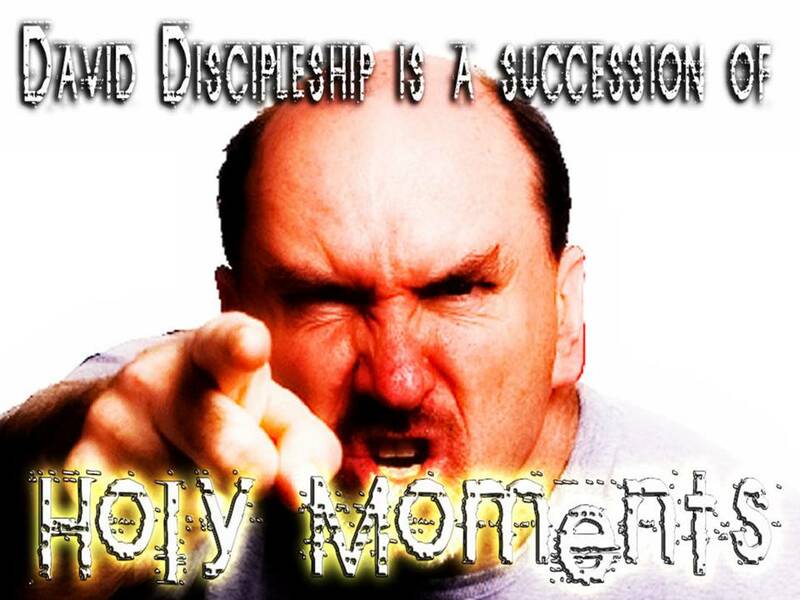 Have you made the decision to follow Jesus Christ as His Disciple? I am not talking about your decision to ask Him into your heart. I am talking about your decision to abandon everything this world offers, and cling totally to Jesus Christ. NASB Luke 14:33 So then, none of you can be My disciple who does not give up all his own possessions. 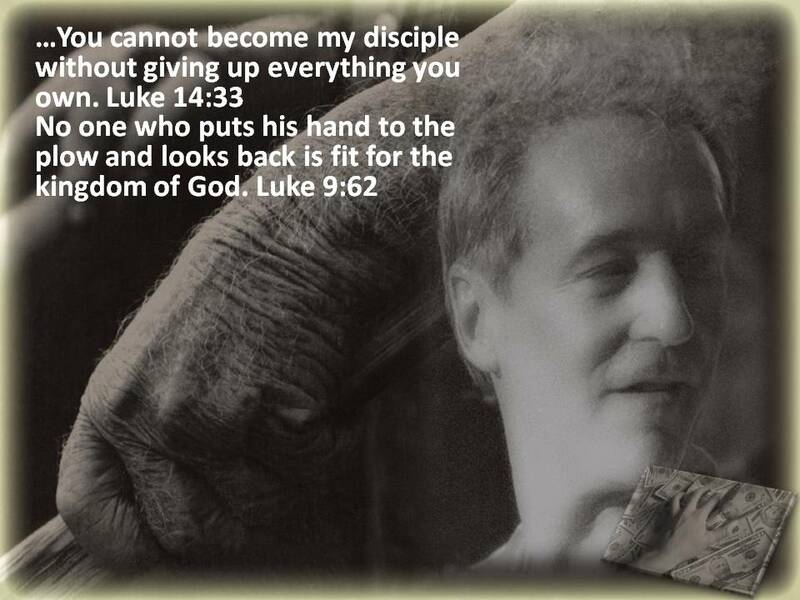 NLT Luke 14:33 So you cannot become my disciple without giving up everything you own. ESV Luke 14:33 So therefore, any one of you who does not renounce all that he has cannot be my disciple. If that is the reason you place such great store on your possessions, you are sadly mistaken. God knows the motives of your heart. He sees the greed, the lack of trust that is revealed by what you cling to. Whatever you do for the Lord, the test will be “did you do it because you are a disciple, or did you do it because you feel guilty?, or you feel it helps you, or it makes you feel good?” If you do anything for the Lord while clinging to your possessions, you have already lost your reward. 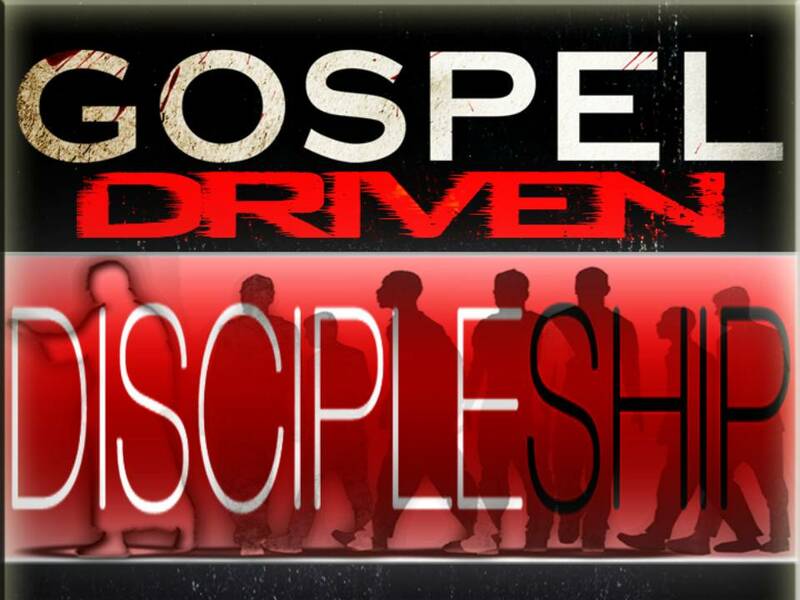 The only way to keep the reward of Jesus Christ is to be a Disciple, and serve because He is Lord! That was the reason He told that group of ‘do-gooders’ to “depart, I never knew you!” They were doing good, they were saying “Jesus things”, but they had never given themselves completely to Him. 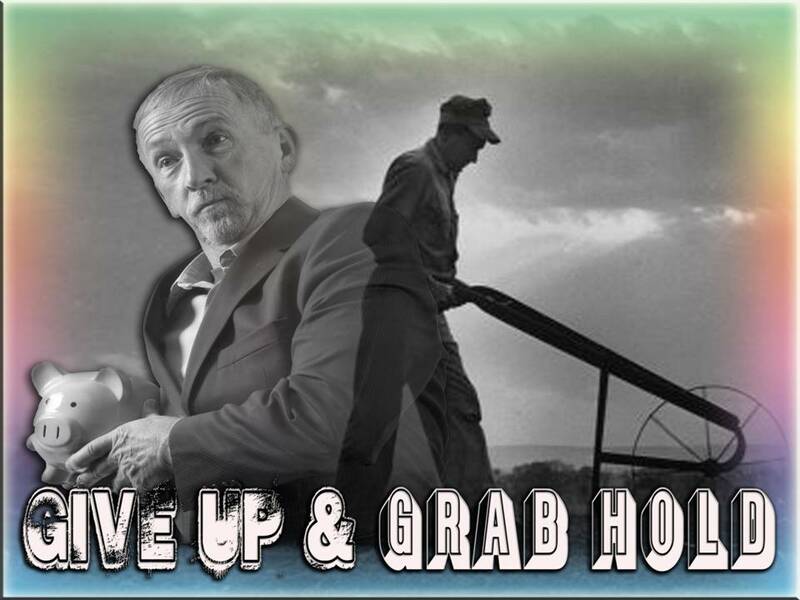 Are You Ready To Give Up and Grab Hold? 1. 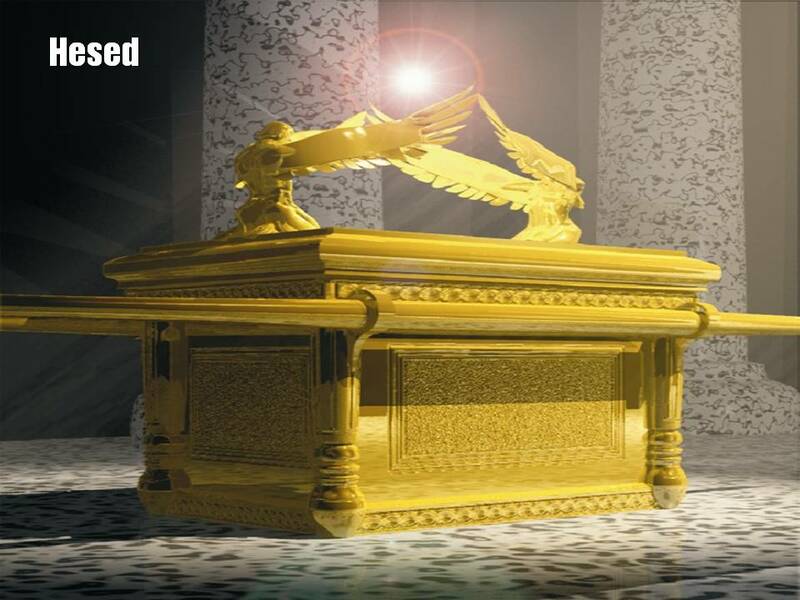 Ark of the Covenant.-Law was added as a witness against them. 2. Covered with the golden lid- kappōret – the mercy-seat. Exodus 25:21-22 And you shall put the mercy-seat on the top of the ark, and in the ark you shall put the testimony that I shall give you. 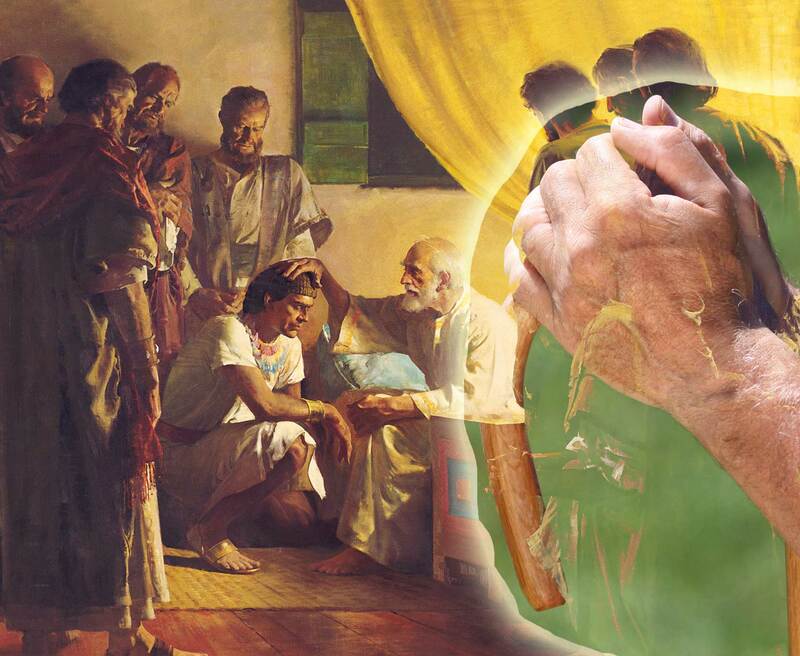 There I will meet with you, and from above the mercy-seat, from between the two cherubim that are on the ark of the testimony, I will speak with you about all that I will give you in commandment for the people of Israel. The Ark was the testimony of God’s Covenant with His people, symbolic of His protection, provision, and blessing. 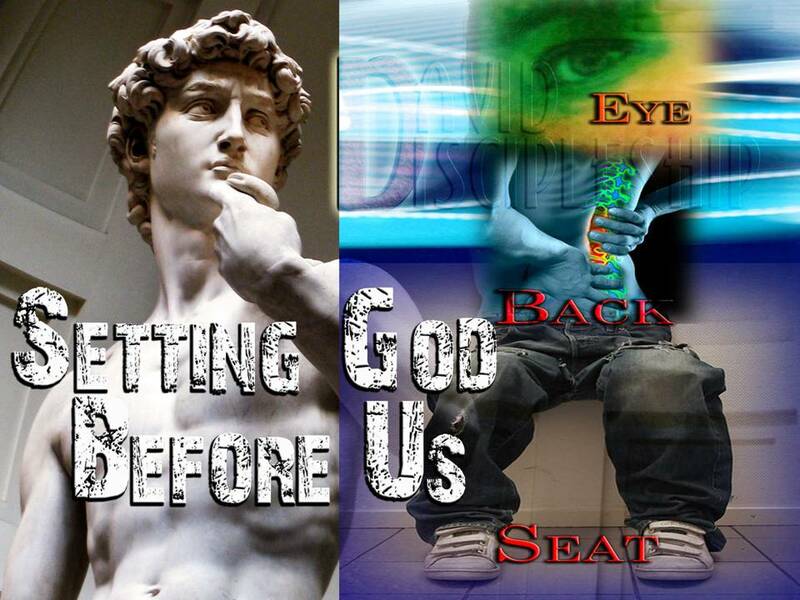 Through the mercy-seat God could have a personal relationship with sinful man. It symbolized His unfailing love to a very fallible and failed man. God made a covenant with His people. He was building a Nation, centered around the theme of REDEMPTION, bringing them into a Promised land, a land of milk and honey, a land where He would be their God, their King, their protector, and provider. It represented a victorious land, a land where the enemies of the Lord would be vanquished. Those enemies represented the flesh, sin and Satan. 1. Wherever the Hebrews would go, God’s Justice was to reign as the Law of the land. 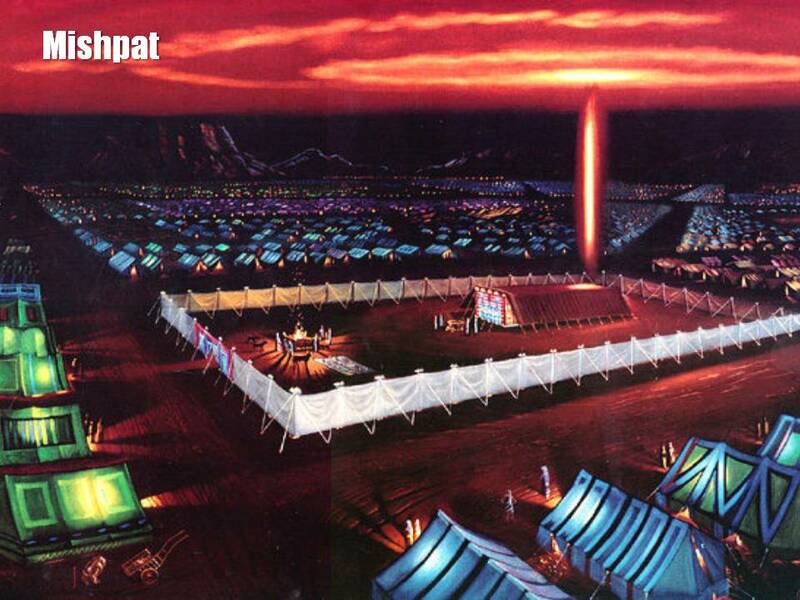 Tent of Meeting became the Tabernacle located in the very heart of the Hebrews. 2. 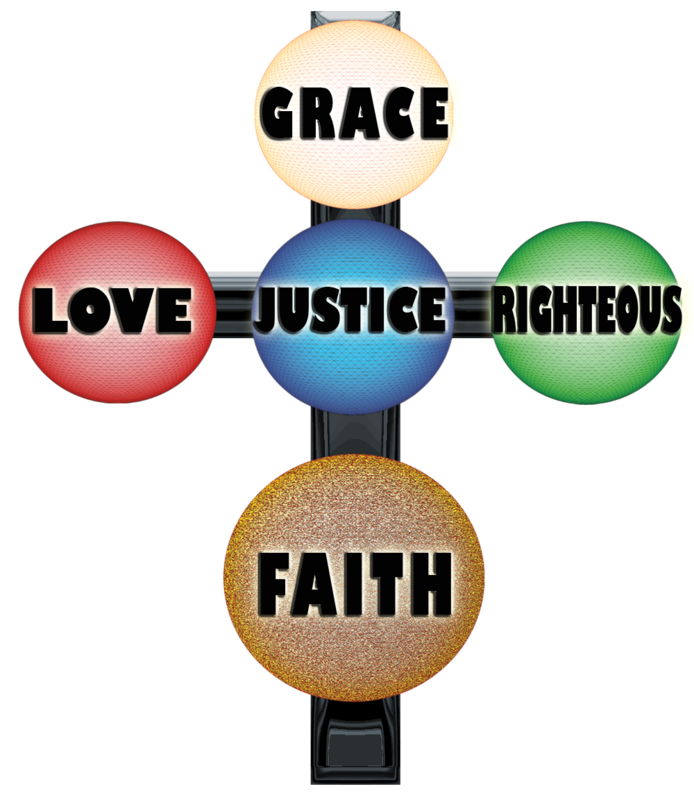 Justice was centered around the Word and Worship of God. Justice is not Political but Moral. Morality comes through a change within, not from without. True Morality is not legislated. 3. The Tabernacle represented the mishpat of God. It was in the center of the 12 tribes. As the Lord lays out in detail his design for the Tabernacle, he says, “Set up this Tabernacle according to the pattern you were shown on the mountain” (26:30). The word translated here as “pattern” is, in Hebrew, mishpat, which ordinarily means “justice” or “ordinance.” The unusual use of mishpat in this verse underscores the authority of God’s design. Moses and the Israelites were to be guided by the divine pattern when they set up the Tabernacle. 4. The Temple was designed and built according to the “mishpat” of God. The high priest wore a pouch called the breast piece of justice, containing the Urim and Thummim by which decisions were obtained from the Lord (Ex. 28:30). Doing what was right and just in the Lord’s eyes was far more important than presenting sacrifices to Him (Gen. 18:19; Prov. 21:3, 15). 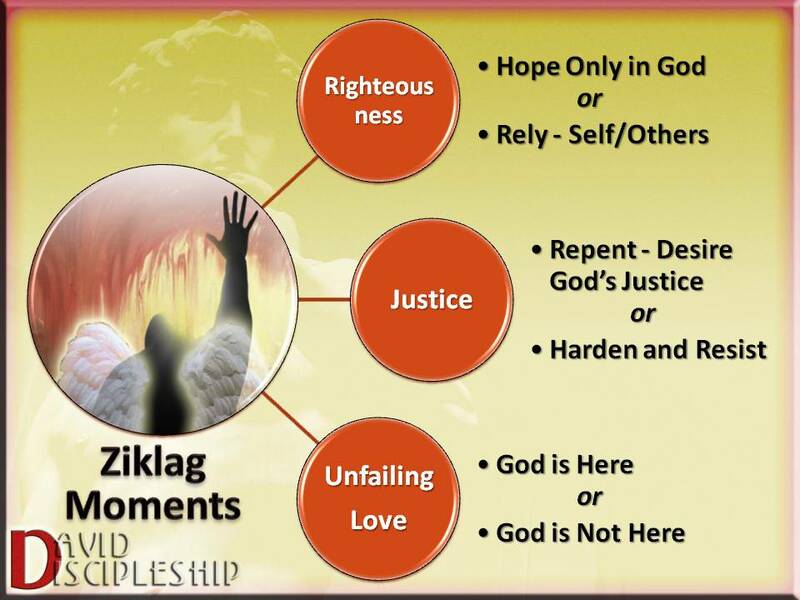 C. God’s Righteousness is Seen in His Victories! 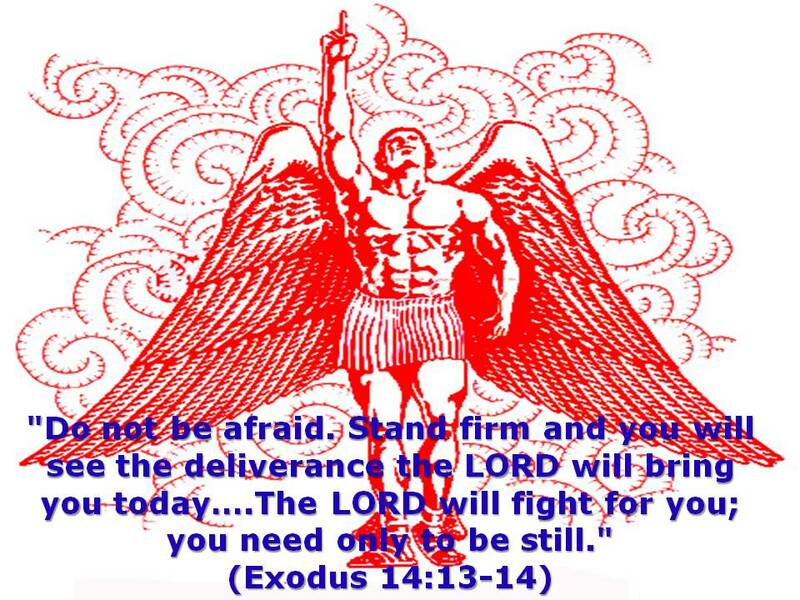 God promised His people Victory in everything they did, if they followed His mishpat. He termed this victory “Blessing” He assured them that Blessings would pursue them, the image being of a linebacker pursuing the quarterback, only in a good way. 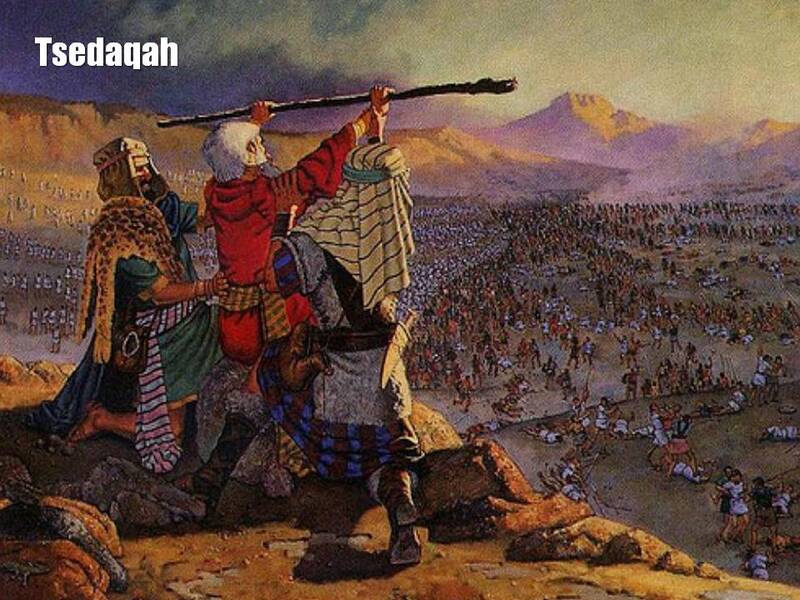 The oldest meaning of tsedaqah, as judged by its use in the Song of Deborah (Judges 5:1-31), appears to be ‘victory’. Judges 5:11 To the sound of musicians at the watering places, there they repeat the righteous triumphs of the LORD, the righteous triumphs of his villagers in Israel. “Then down to the gates marched the people of the LORD. When God and Israel mutually fulfill their covenant obligations to each other, a state of righteousness can be said to exist – that is, things are saddiq, ‘as they should be’. In other words, God has bound himself by covenant to ‘make things right’ for his people, and to do so by acting unilaterally on their behalf. It’s true, the “range of meaning” of the word tsedaqah incorporates other meanings, but this meaning is particularly stressed in the Old Testament. .
3. Righteousness was Promised in Jesus Christ. Jeremiah 23:5 Behold, the days come, saith the LORD, that I will raise unto David a righteous Branch, and a King shall reign and prosper, and shall execute mishpat and tsedaqah in the earth. 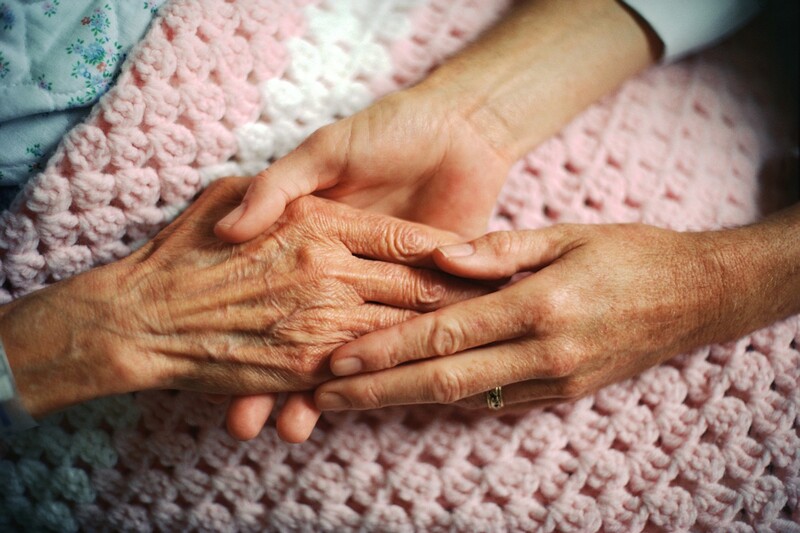 We should be as the widow woman who came everyday to the unjust judge. She cried out for JUSTICE! In Isaiah 5, God looks for justice (mishpat) but sees only mispah or oppression. God looked for righteousness (tsedaqah) but found people crying (tseaqa). It is a play on words, for God sees the opposite of what He desires on earth. The word for “cry” is the same word in Genesis 19:13, which depicts the outcry against the sin of Sodom against the Lord. God is searching our country, hoping to find justice and righteousness, but instead He hears the cry of the oppressed and the sinful. What Should be our Response to Jesus’ plea for Disciples? We should literally transfer ownership of everything we own, every dream we have, every hope in our heart, and lay it all at the foot of Jesus Christ. He is Lord, and we should hold nothing back. We should then cry out to Him to see Justice and Righteousness here on earth as it is in heaven! 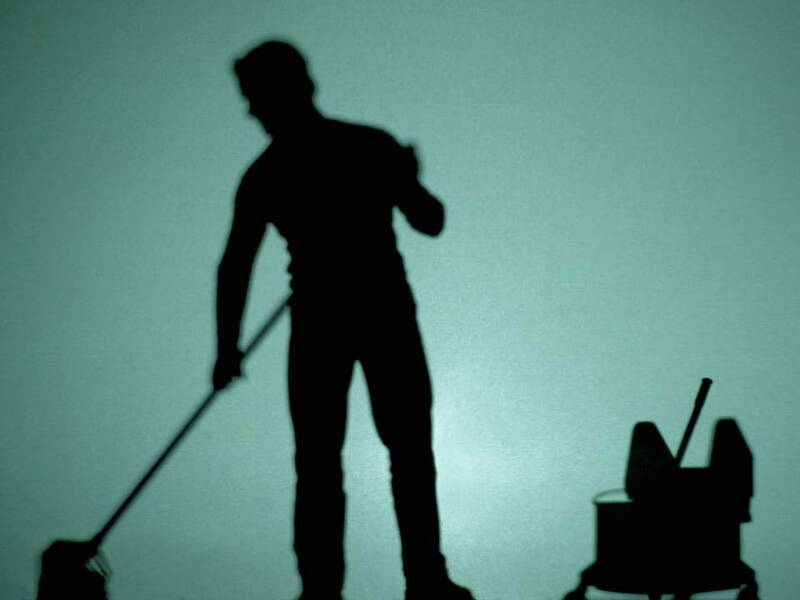 We must confess our fleshly attitudes, our bitterness, our temporal values and our moral impurity. 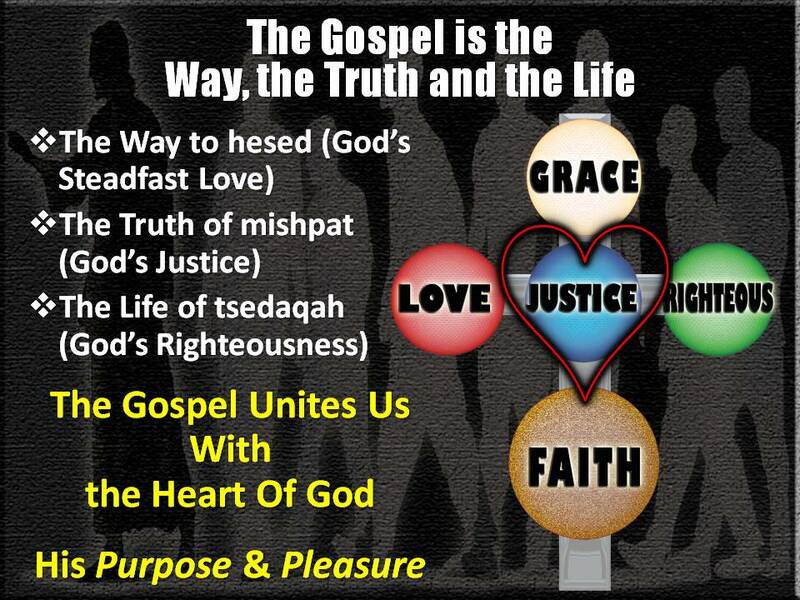 We must get rid of every ‘besetting’ sin or habit or item that will hinder us from pursuing hesed, mishpat and tsedaqah! Lift up the Name of God in your Life, You House and your World! When we resist the Grace of God, we hinder God’s hesed, mishpat and tsedaqah from working in our lives. When we resist the Grace of God, we are being like the Jews in the wilderness, who were overcome in the wilderness, because they failed to believe God’s Word, failed to trust completely in God, and failed to obey God. They failed the Discipleship Test. 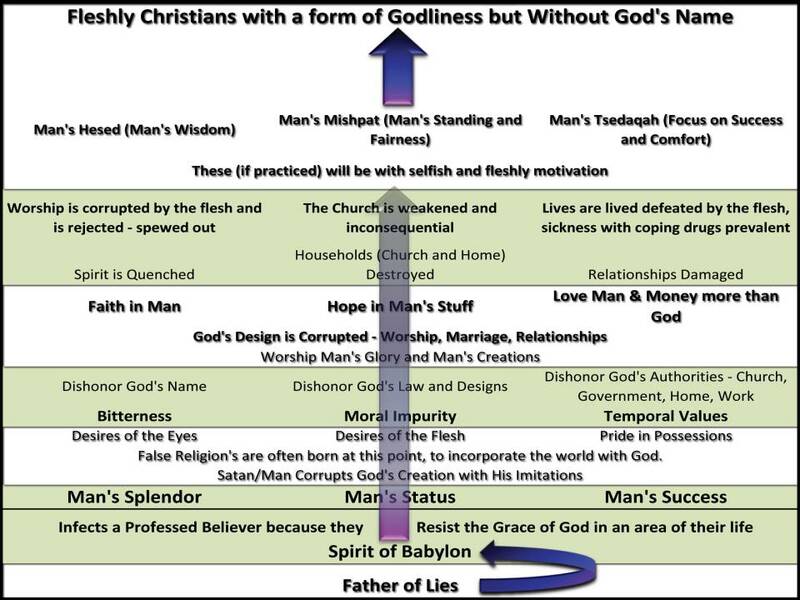 The following chart illustrates how the Father of Lies works through our stubbornness and sinful resistance of God. Satan even has counterfeit hesed, mishpat & tsedaqah, based upon man’s wisdom and man’s self-effort. Satan does not want us to Honor the Name of God! Our only decision should be to join the battle of the Name of the Lord! He needs our full and undivided support! He needs us to join Him in fighting the Father of Lies. He needs warrior who are Mighty in Spirit, exercising hesed, mishpat and tsedaqah! Adam Clarke, A Commentary and Critical Notes, (New York: Abingdon-Cokesbury Press, 1826), WORDsearch CROSS e-book, Under: “1 Samuel 30”. Adam Clarke, A Commentary and Critical Notes, (New York: Abingdon-Cokesbury Press, 1826), WORDsearch CROSS e-book, Under: “1 Samuel 31”. Adam Clarke, A Commentary and Critical Notes, (New York: Abingdon-Cokesbury Press, 1826), WORDsearch CROSS e-book, Under: “The Second Book of Samuel”. Adam Clarke, A Commentary and Critical Notes, (New York: Abingdon-Cokesbury Press, 1826), WORDsearch CROSS e-book, Under: “2 Samuel 2”. Warren Baker and Eugene Carpenter, The Complete Word Study Dictionary – Old Testament, (Chattanooga, TN: AMG Publishers, 2003), WORDsearch CROSS e-book, 687. James Strong, Strong’s Talking Greek & Hebrew Dictionary, (Austin, TX: WORDsearch Corp., 2007), WORDsearch CROSS e-book, Under: “6818”. Our media seems to be fascinated with “Fallen Angels”. There have been movies about them. They have even been in commercials. Do fallen angels lose their wings? Yes and no. The wings may shrivel and fall off. Or the wings may turn demonic and resemble bat wings. Do not hate bats because of this similarity. Do fallen angels get their wings stripped? Yes, for their sins fallen angels get their wings stripped. They get them back when they save someone’s life. Can a fallen angel get back their wings? I wonder where this book is that says this. It is not the Bible. I am not going to talk about “fallen angels” the ones who rebelled with Lucifer and now serve Satan as demonic beings. They may still have wings, if they had wings, and the Bible says that cherubim and seraphim have wings. They may even look like bat wings (please do not let that prejudice you against those lovable creatures). I want to talk about David, and relate to you how this (I believe fallen) Angel (as he is described) learns to soar in a moment when other Disciples would have fallen on their sword. 1 Samuel 29:2-11 As the lords of the Philistines were passing on by hundreds and by thousands, and David and his men were passing on in the rear with Achish, the commanders of the Philistines said, “What are these Hebrews doing here?” And Achish said to the commanders of the Philistines, “Is this not David, the servant of Saul, king of Israel, who has been with me now for days and years, and since he deserted to me I have found no fault in him to this day.” But the commanders of the Philistines were angry with him. And the commanders of the Philistines said to him, “Send the man back, that he may return to the place to which you have assigned him. He shall not go down with us to battle, lest in the battle he become an adversary to us. For how could this fellow reconcile himself to his lord? Would it not be with the heads of the men here? 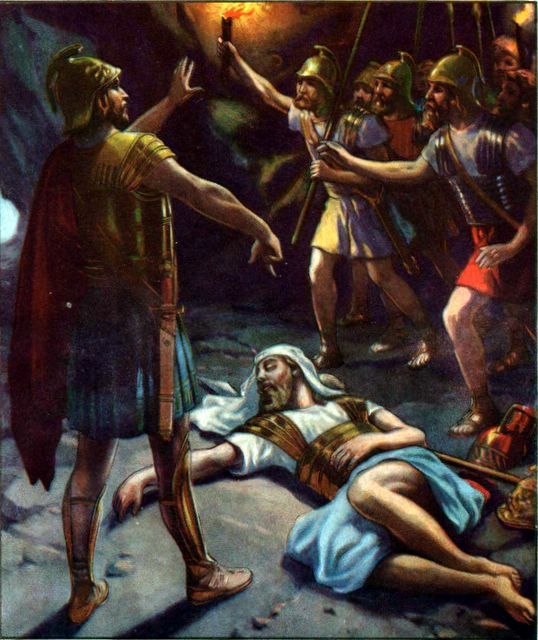 Is not this David, of whom they sing to one another in dances, ‘Saul has struck down his thousands, and David his ten thousands’?” Then Achish called David and said to him, “As the LORD lives, you have been honest, and to me it seems right that you should march out and in with me in the campaign. For I have found nothing wrong in you from the day of your coming to me to this day. Nevertheless, the lords do not approve of you. So go back now; and go peaceably, that you may not displease the lords of the Philistines.” And David said to Achish, “But what have I done? What have you found in your servant from the day I entered your service until now, that I may not go and fight against the enemies of my lord the king?” And Achish answered David and said, “I know that you are as blameless in my sight as an angel of God. Nevertheless, the commanders of the Philistines have said, ‘He shall not go up with us to the battle.’ Now then rise early in the morning with the servants of your lord who came with you, and start early in the morning, and depart as soon as you have light.” So David set out with his men early in the morning to return to the land of the Philistines. But the Philistines went up to Jezreel. David was living a comfortable, compromised life, in bed with the world, loving the enemies of God. His men were happy, growing fat and having children. They were raiding the ancient enemies of God and living off their spoils, while enjoying the protection of the Philistines who were convinced that David had become a stench to his own people. Why? Because David and his men had been lying to Achish for over a year about whom they were warring against. Achish believed David and thought his men were killing fellow Jews in the Negev. But David was killing the warriors and the innocents from the Geshurites, the Girzites, and the Amalekites. 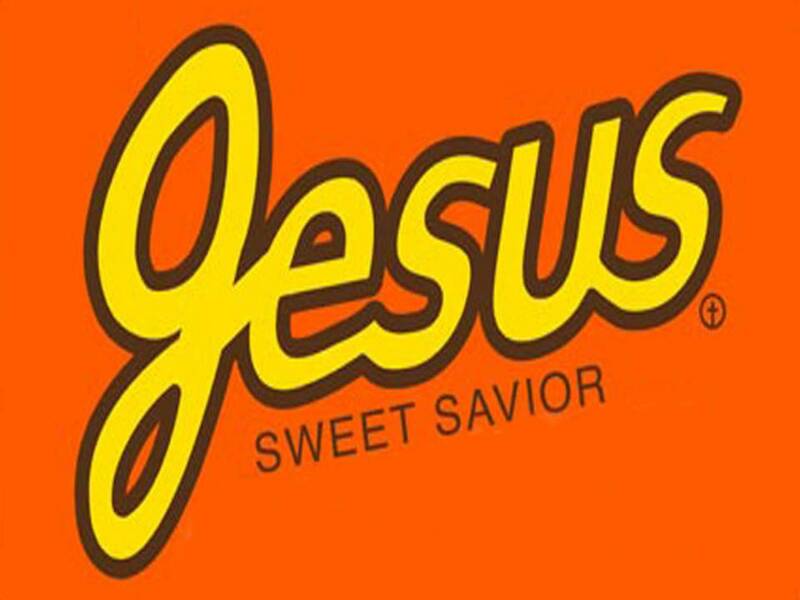 The world loves a sweet Jesus. We do not want to offend anyone, so often we preach a ‘respectable’ Jesus. The church in America relishes our ‘respectability’. We want the world to see us as good Samaritans, food bearers, and love givers. The world does not want to hear about their sin, their rebellion from God, their pride and neglect of God. The world says you cannot judge, who are you to say whom God loves. Who are you to say who gets into heaven? So most of us do not really press the point with our good Catholic friends, our good Lutheran friends, our good friends who do not think church is necessary. No, we do not want to disrespect them. We do not want them to dislike us. We would rather be ‘an Angel’, good in their sight. Maybe our Christianity will rub off on them. Maybe it transfers like a cold or a virus. God is not pleased with David. God is not pleased with Compromising Christians. God is not pleased with compromising David. But look how much Achish loves him! Surely, Achish has become a Christian because of David’s influence. I will repeat, God is not pleased with David. If the World loves you, God is probably not pleased. Had David been honest? No, he had lied directly to his face. He had fooled Achish into believing he had shot straight with him. Had David done anything wrong? Yes, for he had murderedurdering innocent women and children To the world, anything you do is right as long as it is not offensive to whatever standards the world has. 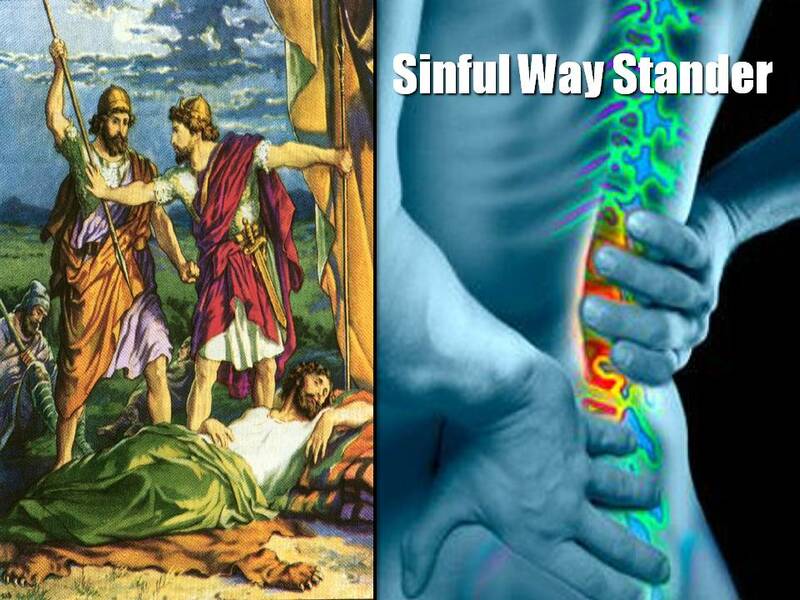 The standard for wrong is not God’s Moral Law, it is man’s. Being an “angel” to the world requires living outside God’s design and justice. An angel of God obeys God’s will and works to establish His will on earth. Angels are messengers of God and alert the world to the Justice of God. 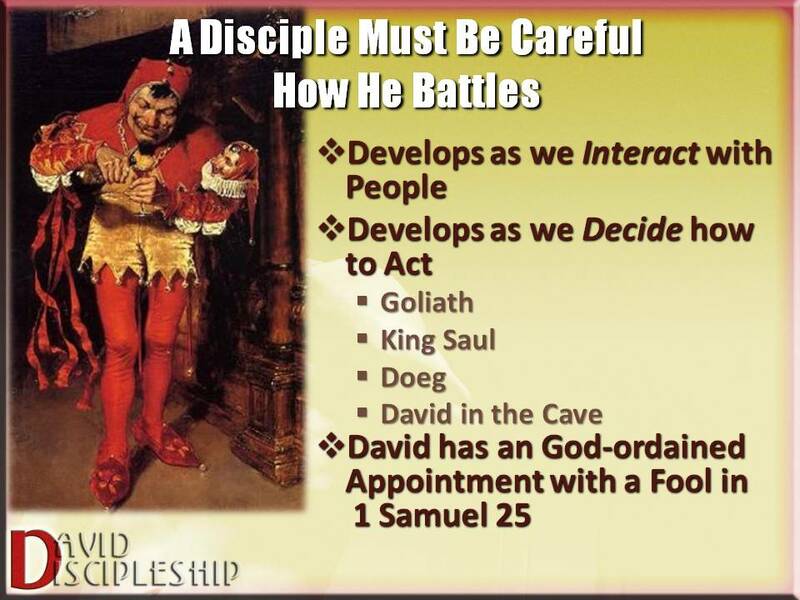 David was following anything but God by allying himself with the enemy of Israel. 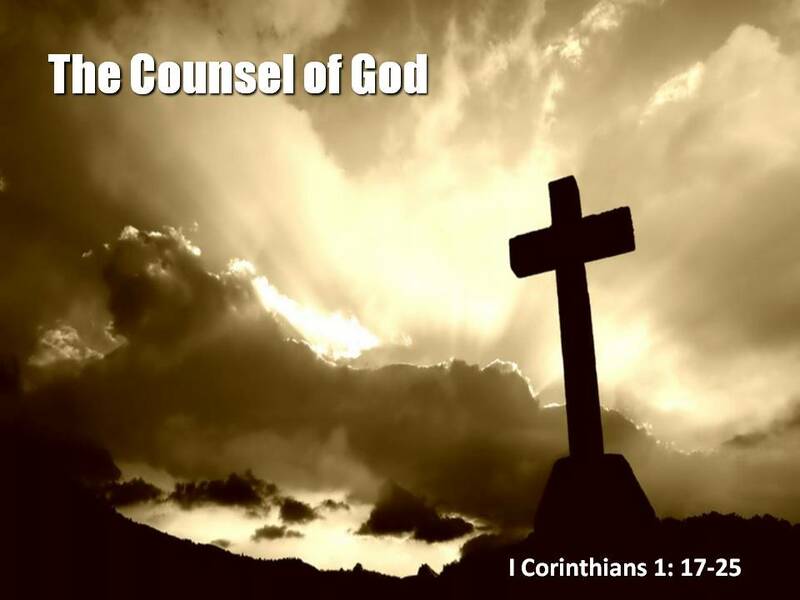 The Justice of God was not guiding his life. The world is often kind to compromised Christians. They respect them; they regard them as people of ‘character’. 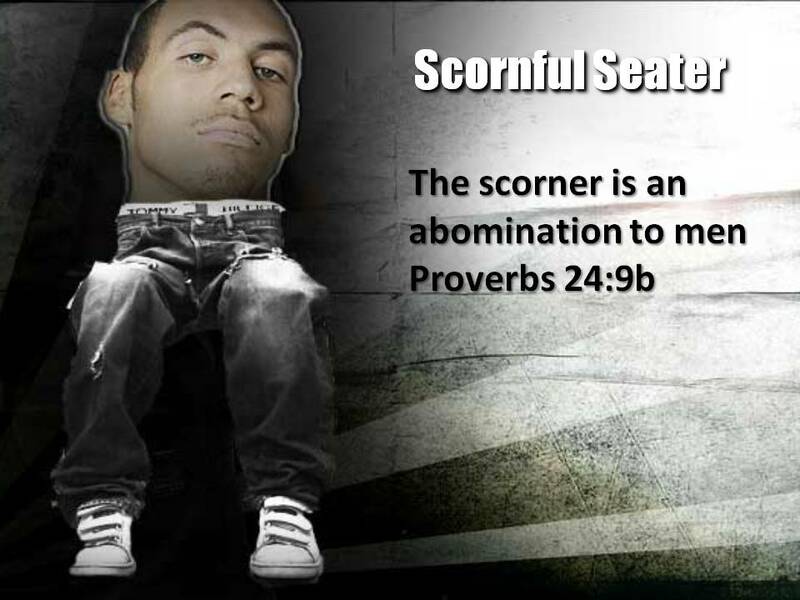 Often a compromised Christian is seen as better than the heathens around him. He can even be seen as an “angel,” especially if he is generous. Achish saw David as an upright man, even an Angel of Jehovah! Had David been an Angel of God? It does appear that Achish may have embraced Jehovah as God. As an angel of God—There is some reason to think that Achish had actually embraced or was favorably disposed towards the Jewish religion. 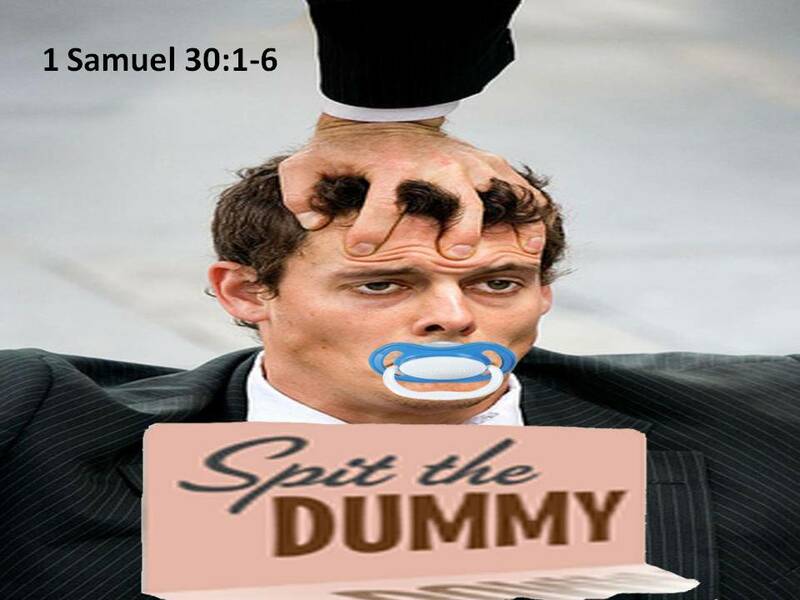 He speaks here of the angels of God, as a Jew might be expected to speak; and in 1 Samuel 29:6 he appeals to, and swears by Jehovah; which, perhaps, no Philistine ever did. 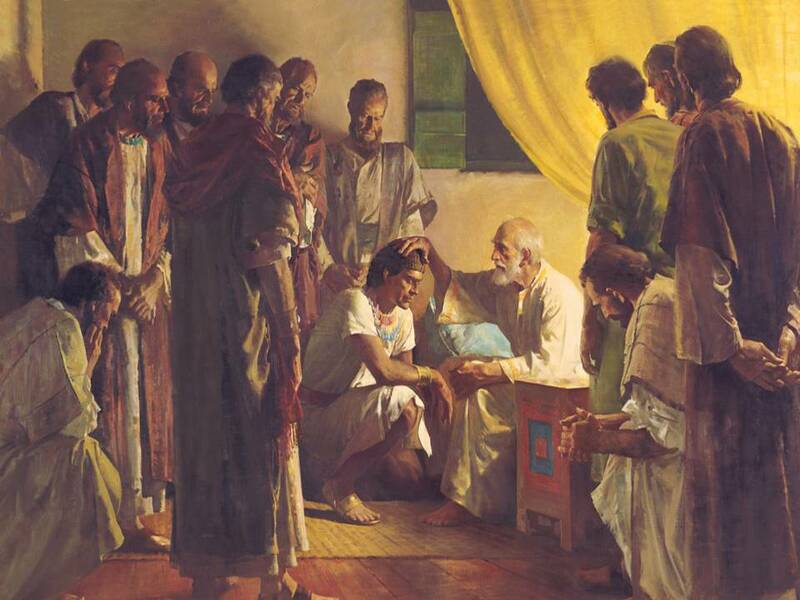 It is possible that he might have learned many important truths from David, during the time he sojourned with him. Three Philistine gods are mentioned in the Old Testament—Dagon, Ashtoreth, and Baalzebub. Two of them were adopted from the people around them, and reflect an attitude of syncretism (combining different – often contadictory beliefs). Dagon appears to be the chief god of the Philistines. He was the fish God, father of Baal. They also adopted Ashtoreth, the fertility goddess of the Canaanites, as one of their gods. The Philistines had Ashtoreth temples at Beth-Shan (1 Samuel 31:10 NIV) and, according to Herodotus, at Ashkelon (Herodotus I. 105). Baalzebub, the Philistine god whose name means “lord of the flies,” was the god of Ekron (2 Kings 1:1-16). Most likely, the Philistines worshiped Baalzebub as a god who averted pestilence or plagues. The danger of compromised, world loving Christians hanging with and sharing with the lost, is the adoption of an ‘anything goes’ Jesus. He is more of a good buddy, a Jesus Claus, who loves me in MY world. A compromised Christian will father other compromised Christians, people who are more comfortable in the world than they are in the Kingdom of Jesus Christ. These will be those who believe there are many ways to God. 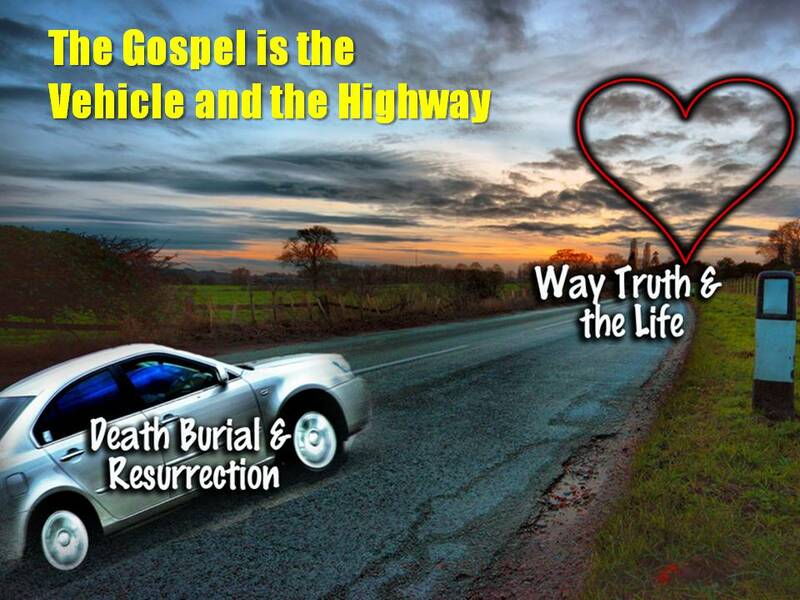 Jesus is merely a way to God, not the only way. David needed to learn that God wanted him to be King over a separate Kingdom, a Kingdom with distinct laws and distinct worship. This Throne would establish the Kingdom for God’s Son, Jesus Christ, who would one day reign as King over the entire world. Christians are to realize that Jesus is Lord of a Kingdom that is entirely different from this world, and is actually opposed to this world. It is a Kingdom of the Cross-a Kingdom of self-denial, and a Kingdom that is foreign to the ways of this world. Jesus needs His disciples to work to establish this Kingdom on earth as it is in heaven. 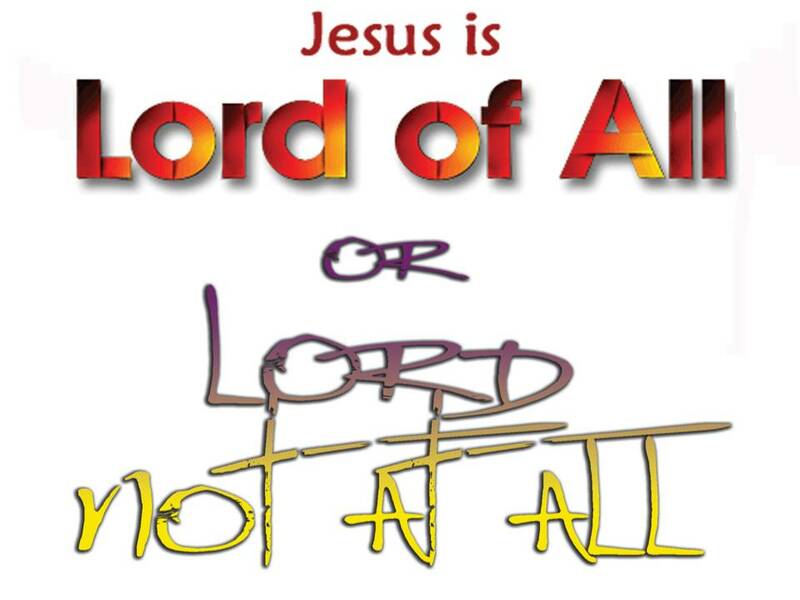 Jesus must be Lord over all, not just part. We are to be subject to His commands and His direction all of the time, not just part of the time. We cannot worship Jesus on Sunday and then worship the Dollar on Monday, my Possessions on Wednesday…Jesus is Lord of all or He is Lord of None. Jesus does not crouch in the corner of your life hoping you throw him a bone now and then. He is Lord, and He tolerates no others in our life. Our witness is made powerful from a transformed life. If your life has not been changed, you have no power to touch someone else for Christ. If Christ has not been allowed to break habits in your life, you will have no power to touch someone with the sin overcoming power of Jesus Christ. Do you want to know why many Christians have never led someone to life changing faith in Jesus Christ? It is not fear, it is not apathy, and it is not a lack of knowledge. It is because they do not know the life transforming power of Jesus Christ. 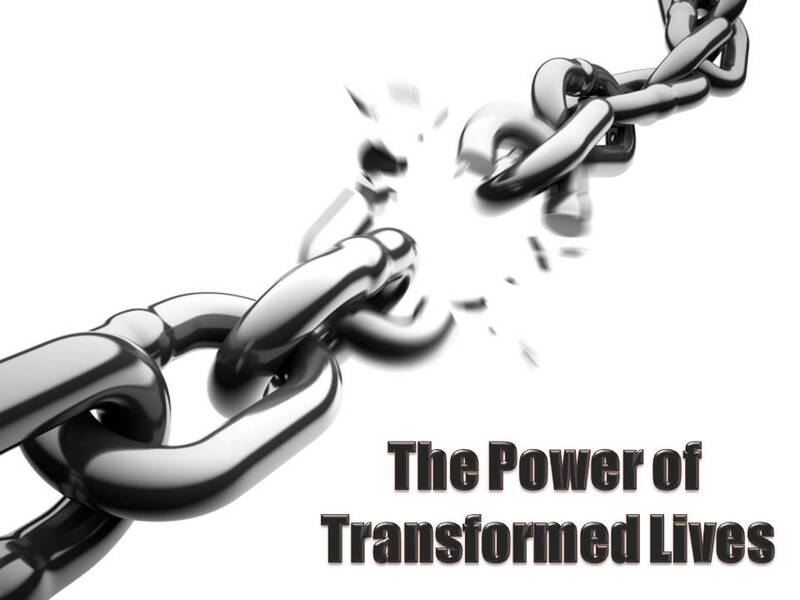 If your life is truly transformed, if you truly know the power of Christ over sin, you will not be sitting around stewing at things you do not like; you will be out touching others with the power of Jesus Christ. Jesus Christ is first about reconciling people to God. If we are unwilling to follow God and be reconciled to our brothers and sisters, check your heart and make sure Jesus is Lord of all your life. We have a glory about us that comes from Jesus Christ. 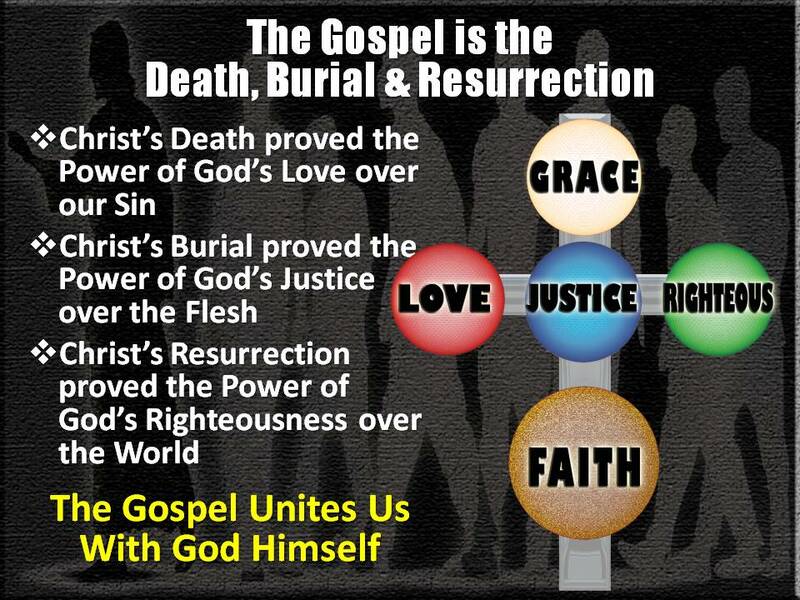 That glory is the basis of our unity, and the reason the world knows the love of Jesus Christ. Does this sound as if Jesus was sending us out into the world to act like the world and be like the world? No! That would be no witness to the power and Divine Love of Jesus Christ. I have heard many, many times that people are sick of the Republican primary process. There is too much fighting and personal attacks. The ads are 97% negative. The fear is that this will not stop soon, but continue for five or six more months. However, I know the most amazing thing will happen, no matter how bloody the battle. Come the primary, every Republican will be holding hands and singing “Kum Ba Yah my Lord, Kum ba Yah!” They will be the most lovey-dovey group on the earth. Why? Because they have to work out their disagreements to defeat their enemy Obama. They have lost sight of Jesus Christ. They don’t care if the enemy wins and people die and go to hell. 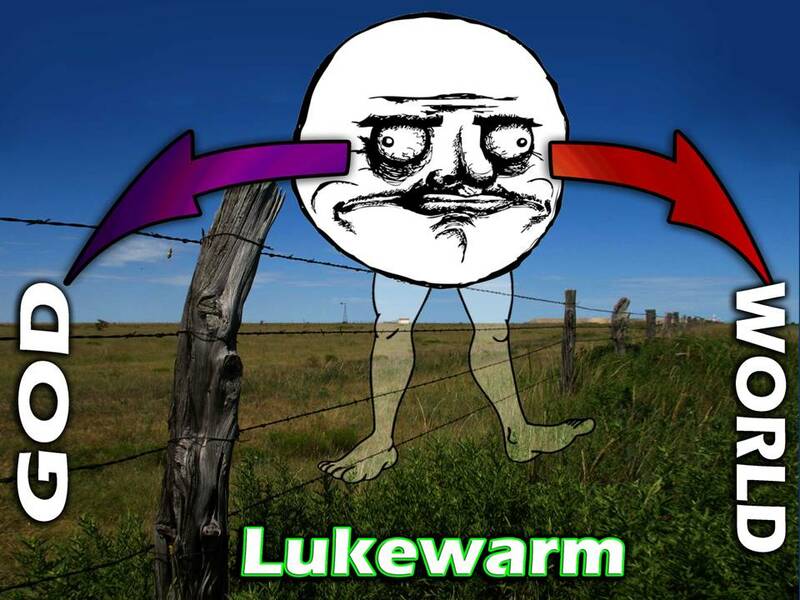 It takes only one person to erect a barricade based on a fleshly judgment or fleshly power struggle. Self is always the focus when barricades are erected. 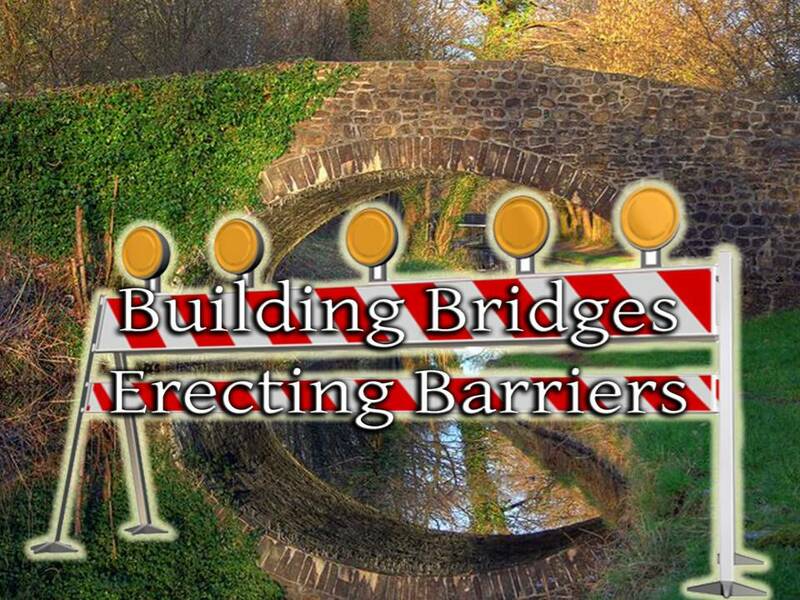 However, Jesus wants us to be “Bridge-Builders.” As an individual Jesus built the greatest bridge between Holy God and sinful man. Now he wants “His Team” to be “Bridge-Builders” with Him. With the Lost and within His Body. There are times to erect barriers, but only when the purpose of the Body is threatened. When Christians focus on defeating the enemy, claiming the lost, helping people find Salvation, helping people discover the transforming power of Jesus Christ (BUILDING BRIDGES), they don’t have time to get upset when something doesn’t go their way. In fact, they would start seeking the transforming power of the Lord in every difficult thing they face, even their own bitterness. Verse 4: But the commanders of the Philistines were angry with him. And the commanders of the Philistines said to him, “Send the man back, that he may return to the place to which you have assigned him. He shall not go down with us to battle, lest in the battle he become an adversary to us. For how could this fellow reconcile himself to his lord? Would it not be with the heads of the men here? They told King Achish that David could not go fight with them. They probably told Achish, if you want our support in this battle, do not take David. Otherwise, you will fight alone. They could not figure out why David was being so friendly to them, after all, he had been a mighty warrior. Therefore, they did not want to take the chance that he would turn on them and rally the Jewish army against them. He shall not go down with us to battle, lest in the battle he become an adversary to us. God was using these heathen leaders to get David off the fence and focus on the real battle. I thought you were a Christian. You are not supposed to fight with us. You are supposed to be our enemy. So David was forced to leave for his home at Ziklag. Meanwhile the Philistine armies went to Jezreel. Jezreel: The name of a fertile valley in northern Israel (Hos. 2:22). Its name means, “God sows.” Hosea mentioned it as a place where God will judge Israel. 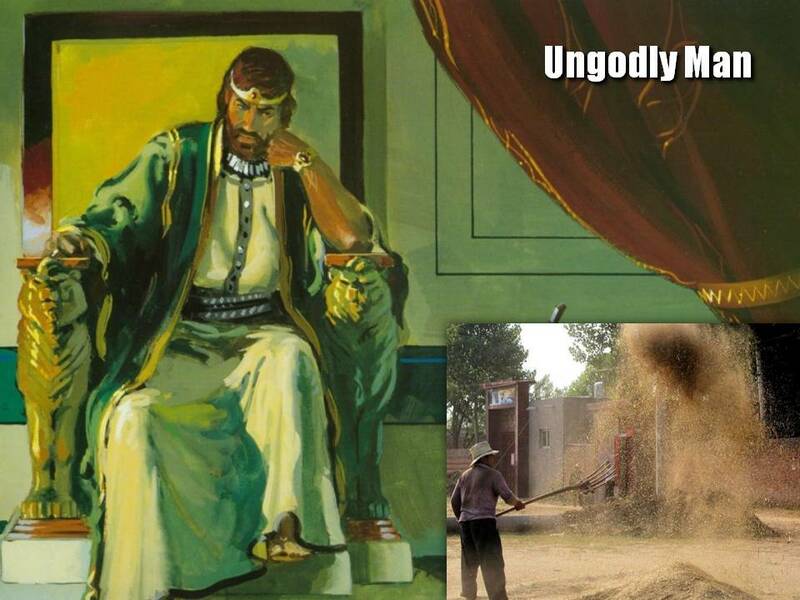 King Saul was about to face God’s Judgment. However, David was spared that, because God had one more lesson for David. David is pushed to the breaking point. 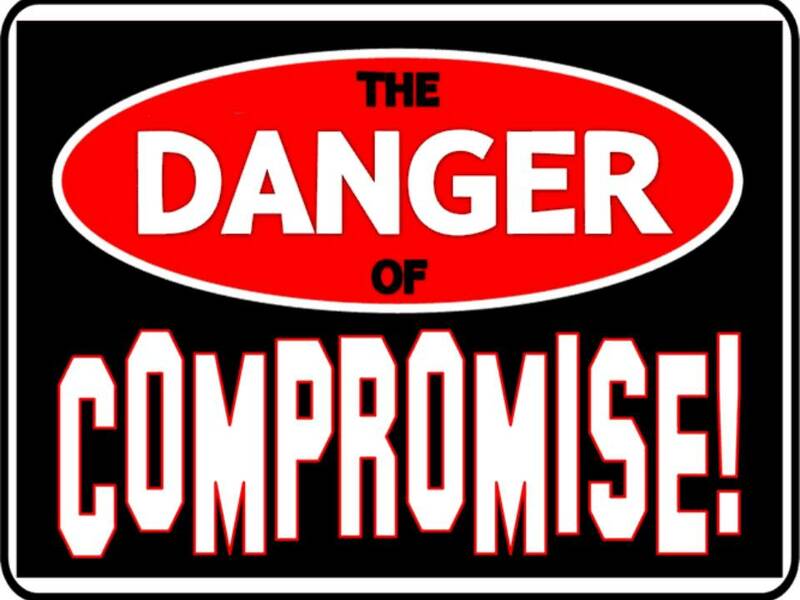 God is about to call David out and expose the dangers of his compromise and trusting in himself rather than God. 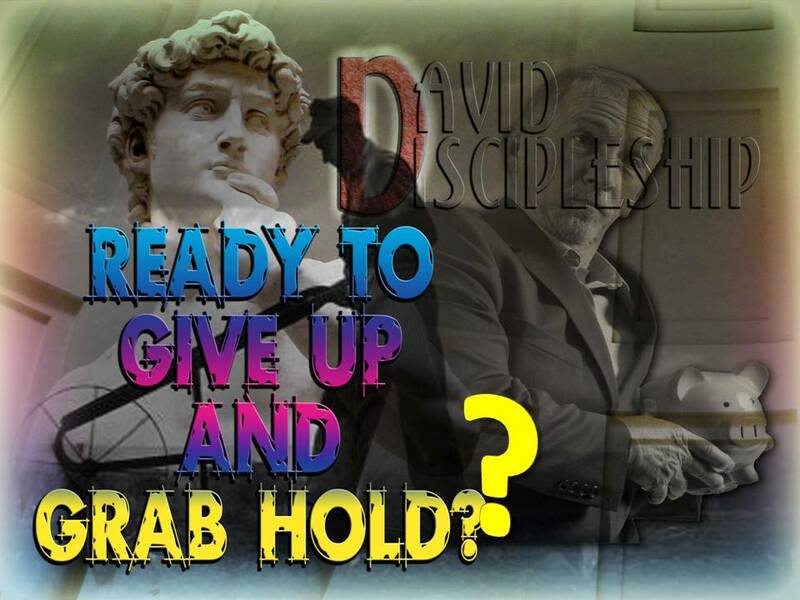 David is going to face the ultimate Test for a Disciple, the Pressure of God’s Reproof. 1 Samuel 30:1-6 Now when David and his men came to Ziklag on the third day, the Amalekites had made a raid against the Negeb and against Ziklag. They had overcome Ziklag, burned it with fire, and taken captive the women and all who were in it, both small and great. They killed no one, but carried them off and went their way. And when David and his men came to the city, they found it burned with fire, and their wives and sons and daughters taken captive. Then David and the people who were with him raised their voices and wept until they had no more strength to weep. 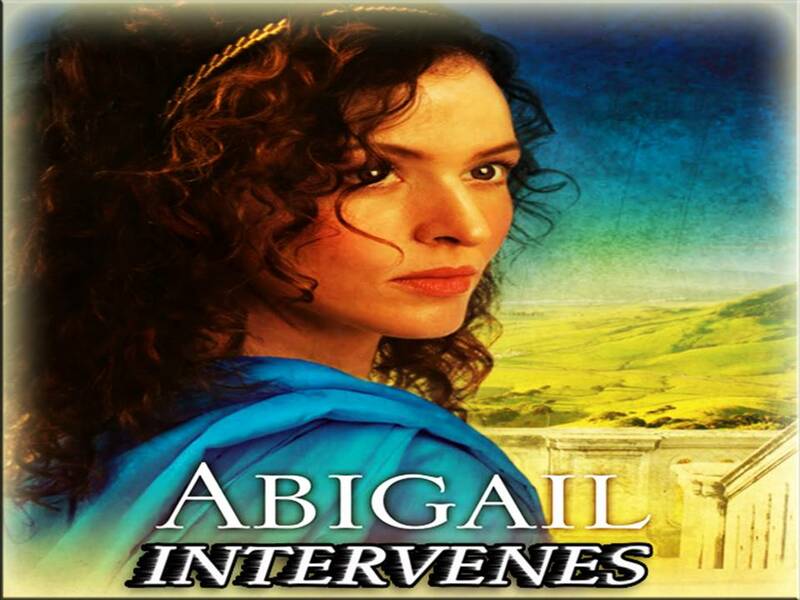 David’s two wives also had been taken captive, Ahinoam of Jezreel and Abigail the widow of Nabal of Carmel. And David was greatly distressed, for the people spoke of stoning him, because all the people were bitter in soul, each for his sons and daughters. But David strengthened himself in the LORD his God. You try to hide things, and somehow they come out. David had been lying to Achish about his raids on the Jewish settlements in the Negev. Instead, he had been raiding the Amalekites. (Oh, by the way, King Saul was supposed to destroy all the Amalekites, but he disobeyed). Well, the Amalekites decided to take revenge. They raided the Negeb and got to the city of Ziklag. For some reason (God), they did not kill anyone. They took everyone captive and burnt the city to the ground. Ziklag was totally wiped out. 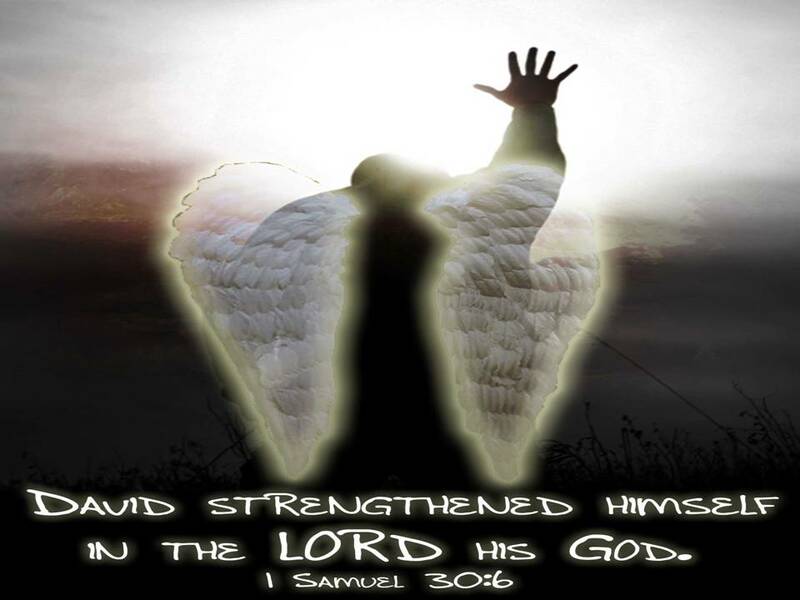 David STRENGTHENED HIMSELF IN the LORD his God! Everything they had worked for over the last 10 years was gone. His wives, his children, his possessions. Here he thought he had found a place of comfort and relative safety, and now it was all gone, reduced to ashes. For all he knew the families could have been taken somewhere and abused or worse. The lies and compromises of the last 16 months came weighing down upon him, the accuser was screaming at him through his men and through his own conscience. This is all your fault. You deserved this. 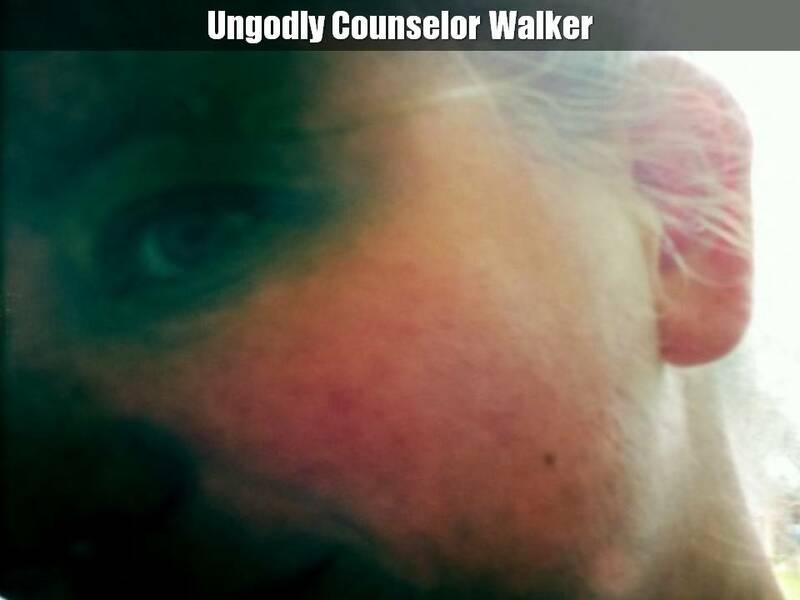 God is judging you because you left Him and sought refuge in the arms of the enemy. Try to imagine what was going on in his heart and mind. Everything that he had hoped for and worked for was suddenly stripped away, and now the men, his loyal men were circling him and holding large stones. Wow, I have pictured that scene over and over in my mind for over 40 years, and I am still in awe of what happened next. 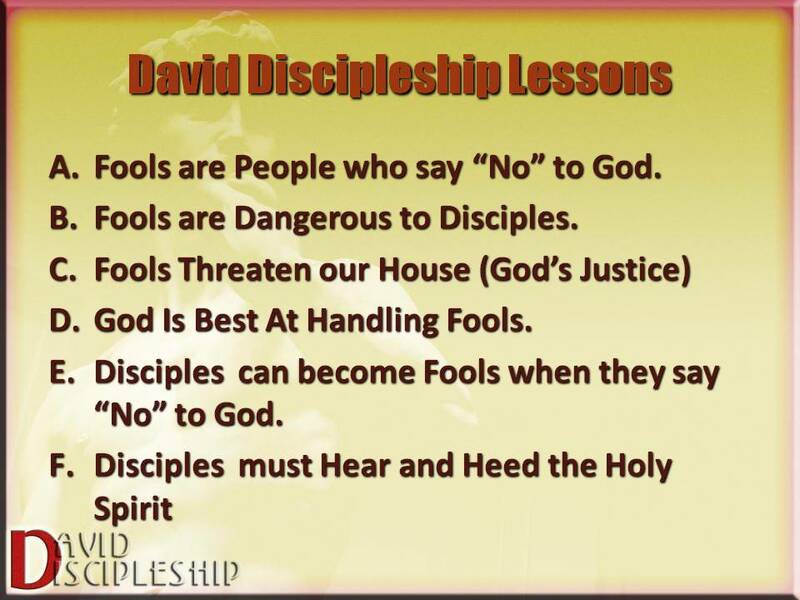 David was facing the ultimate test for any disciple. So what did he do? Hāzaq: A verb meaning to be strong, to strengthen, to be courageous, to overpower. It speaks of tremendous Moral/Physical strength in the face of impossible situations. This verb is widely used to express the strength of various phenomena, such as the severity of famine (2 Ki. 25:3; Jer. 52:6); the strength of humans to overpower each other: the condition of Pharaoh’s heart (Ex. 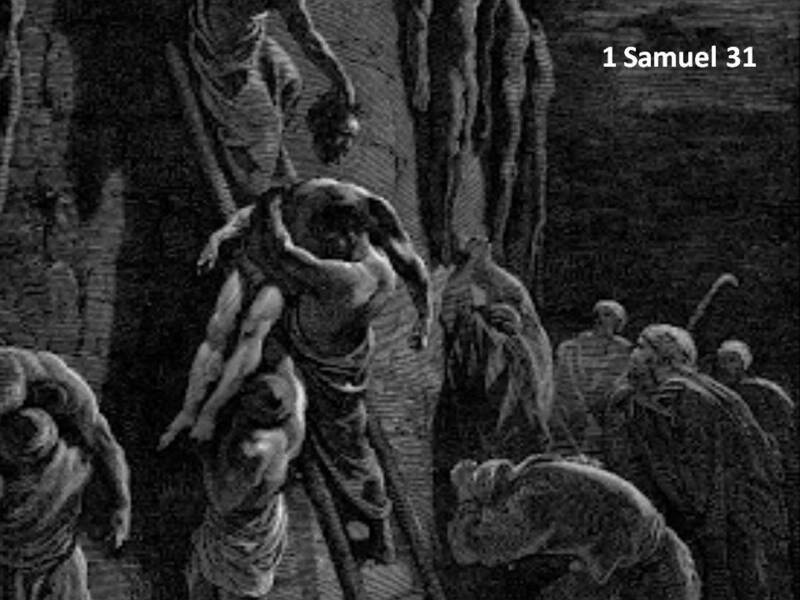 7:13); David and Goliath (1 Sam. 17:50); Amnon and Tamar (2 Sam. 13:14); a battle situation (2 Chr. 8:3); Samson’s strength for his last superhuman performance (Judg. 16:28). This word occurs in the commonly known charge, “Be strong and of good courage!” (Josh. 1:9). 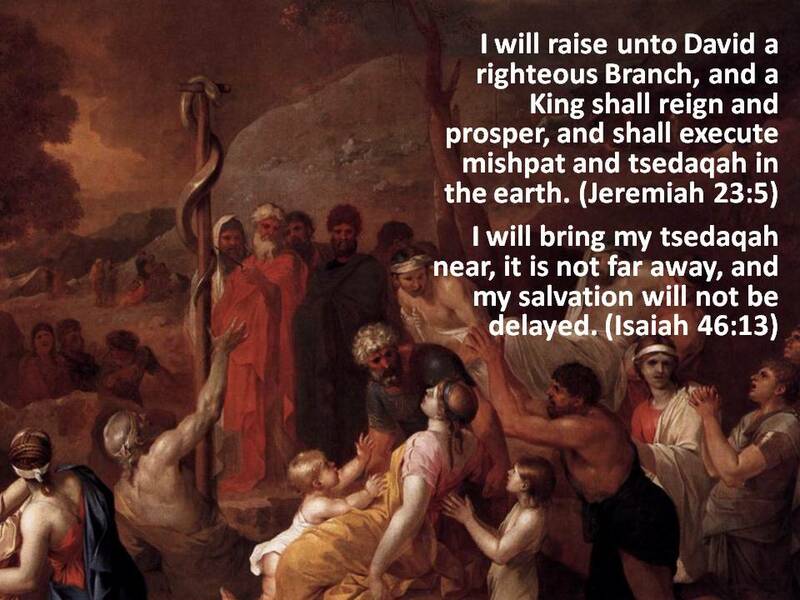 Moses urges Joshua (Deut. 31:6, 7) to be strong. Deuteronomy 31:6-7 Be strong (hāzaq) and courageous. Do not be afraid or terrified because of them, for the LORD your God goes with you; he will never leave you nor forsake you.” Then Moses summoned Joshua and said to him in the presence of all Israel, “Be strong and courageous, for you must go with this people into the land that the LORD swore to their forefathers to give them, and you must divide it among them as their inheritance. Joshua 1:6-7 “Be strong and courageous, because you will lead these people to inherit the land I swore to their forefathers to give them. Be strong and very courageous. Be careful to obey all the law my servant Moses gave you; do not turn from it to the right or to the left, that you may be successful wherever you go. “For the eyes of the Lord run to and fro throughout the whole earth, to show himself strong (hāzaq) in the behalf of them [nasb, “to strongly support them”] whose heart is perfect toward him” (2 Chron. 16:9). 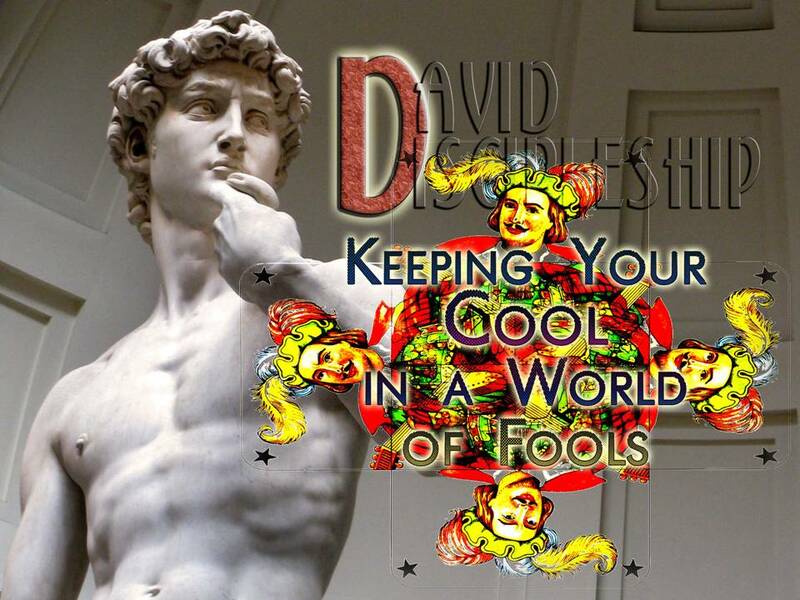 Let’s peek into David’s heart now and see how he strengthened himself in Jehovah Elohim. 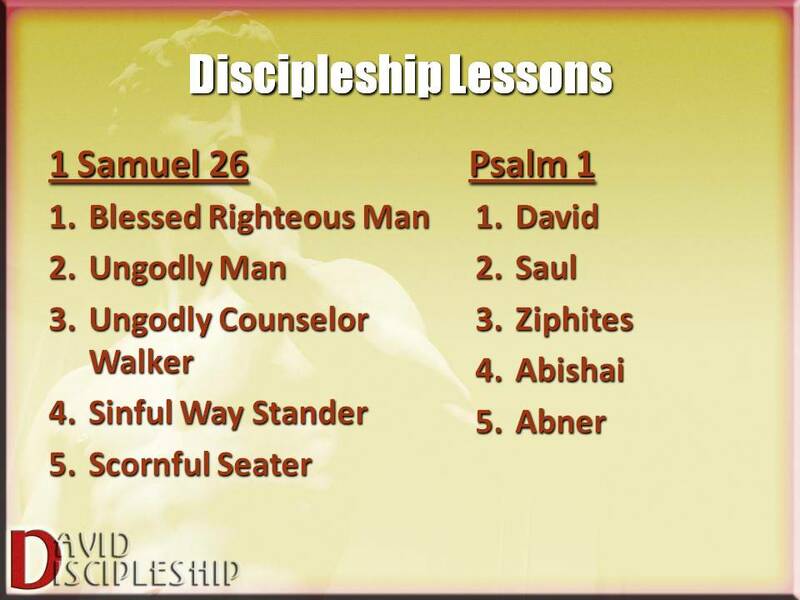 All we need do is look at the Psalms David wrote during this 10 year period of Discipleship Development. We know these came back to him at this precise moment. I believe this is what he said in his closing prayer. He literally could feel the “Hand of God” grabbing his hand, lifting him up and ‘hazaq’ his heart. 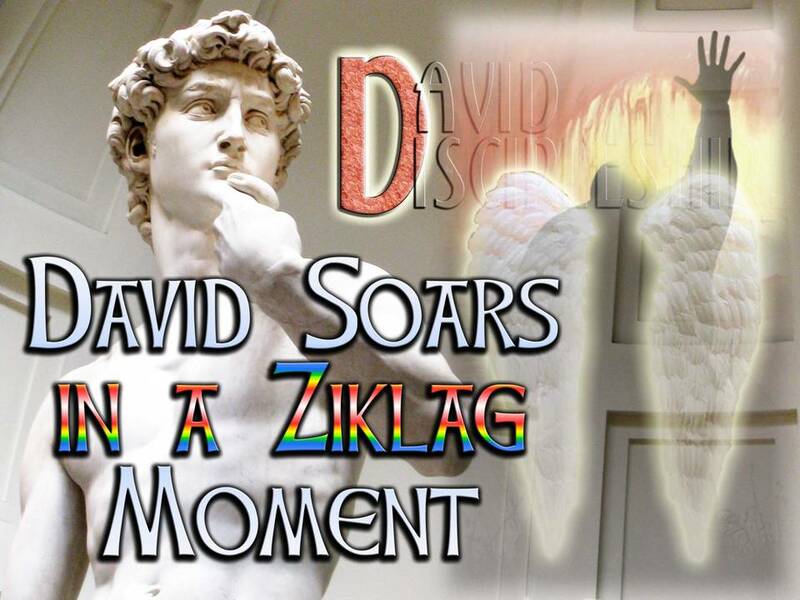 David’s Divine wings came out and he started to soar! 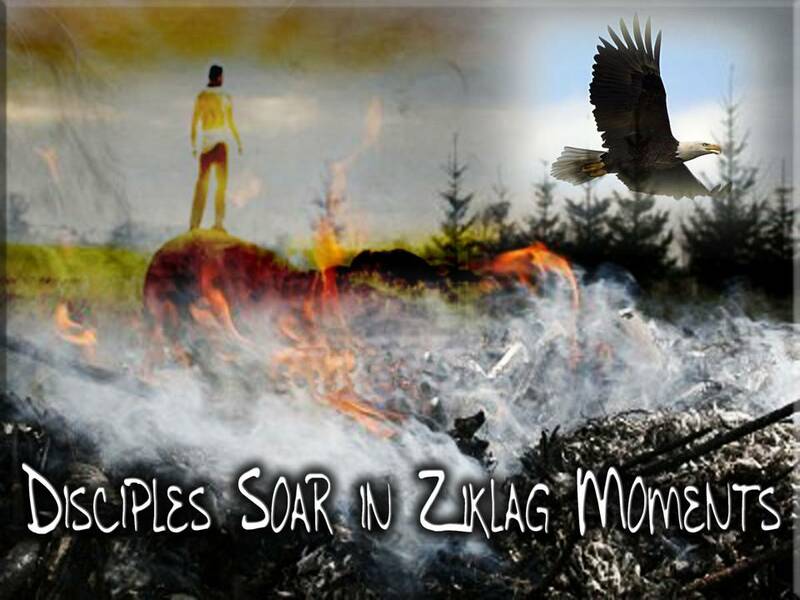 David was soaring over the rubble of Ziklag, he could see clearly what must be done. What happens over the next few days show what God can do when we rely totally upon Him! Appeal to God to establish His justice in your heart and over your enemies. Deny His Hesed-God doesn’t love me, he has brought this on me to punish me. Rebel against His Mishpat-this is unjust, God made a mistake, I do not deserve this, only I can make this right, seek vengeance. Resist His Tsedaqah-I can go my own way, do what I want, I don’t need God. I will rely on _______ to get me through this. My hope is in ___________. How Do Disciples Fail this Ultimate Test? Jeremiah 17:5-9 Thus says the LORD: “Cursed is the man who trusts in man and makes flesh his strength, whose heart turns away from the LORD. 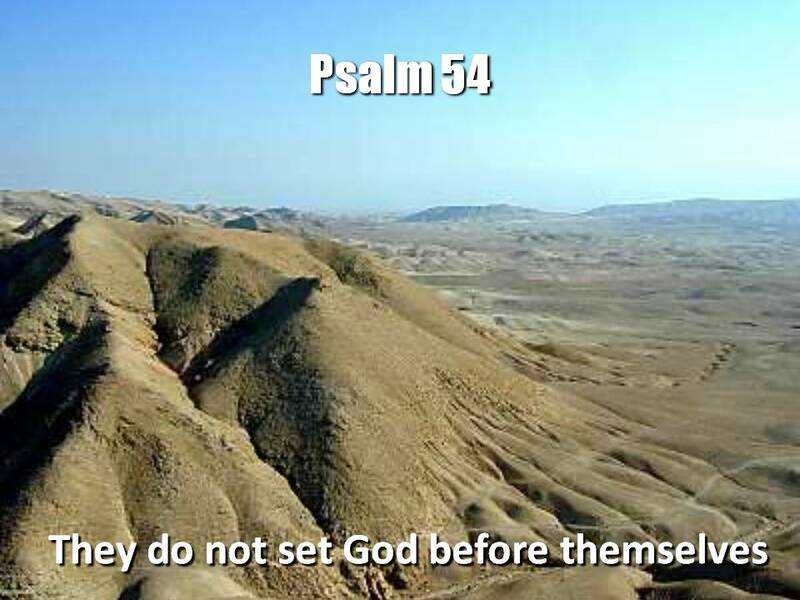 He is like a shrub in the desert, and shall not see any good come. He shall dwell in the parched places of the wilderness, in an uninhabited salt land. “Blessed is the man who trusts in the LORD, whose trust is the LORD. He is like a tree planted by water, that sends out its roots by the stream, and does not fear when heat comes, for its leaves remain green, and is not anxious in the year of drought, for it does not cease to bear fruit.” The heart is deceitful above all things, and desperately sick; who can understand it? Do not allow your heart to rely on its own strength and become hard. Do not allow bitterness to find a foothold. It will eat at your heart until it is hardened and resistant to God and His Word. God can give great strength to men when they turn to Him. 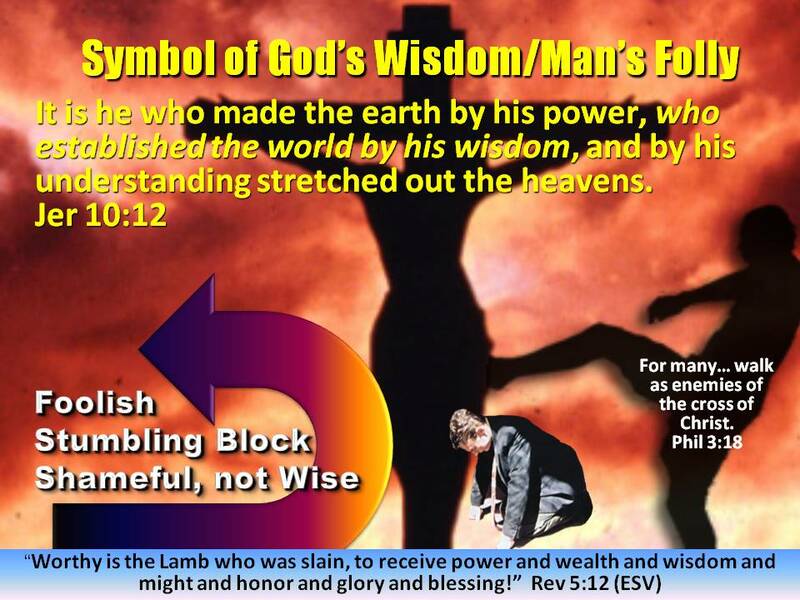 Men may turn their strength into stubbornness against God. 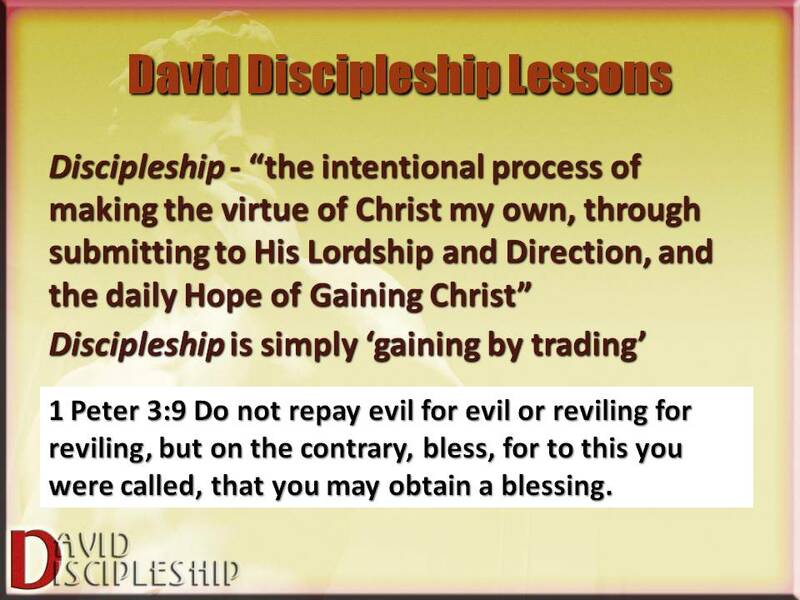 David had gone full circle in his Discipleship Journey. He started by conquering Goliath through the ‘Hāzaq‘ of God. 1 Samuel 17:50 So David prevailed (hazaq) over the Philistine with a sling and with a stone, and struck the Philistine and killed him. There was no sword in the hand of David. He now conquered the fleshly fears that had prompted him to compromise and doubt God’s Name over his life through the ‘hazaq’ of Yahweh Elohim! Does God Hāzaq your Hand? When David went through this final test of this phase of his Journey, things started to move very fast. 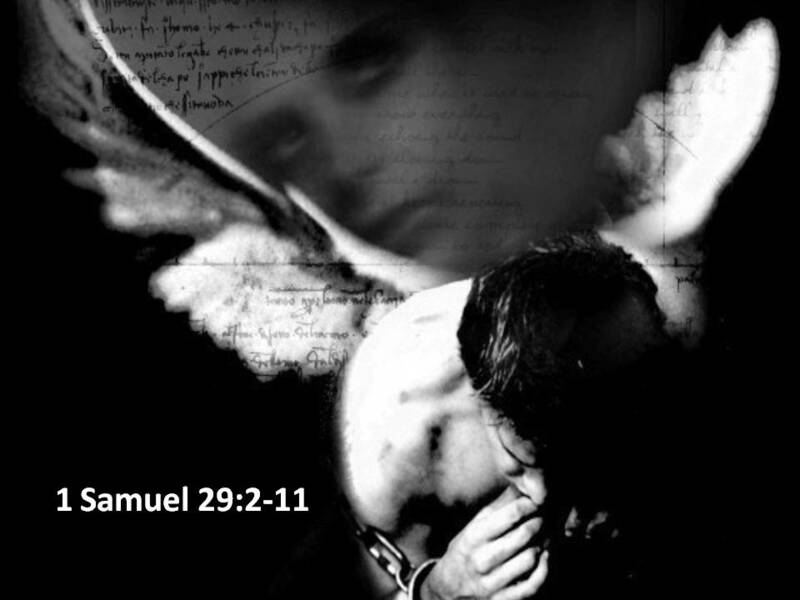 David was not a fallen angel. 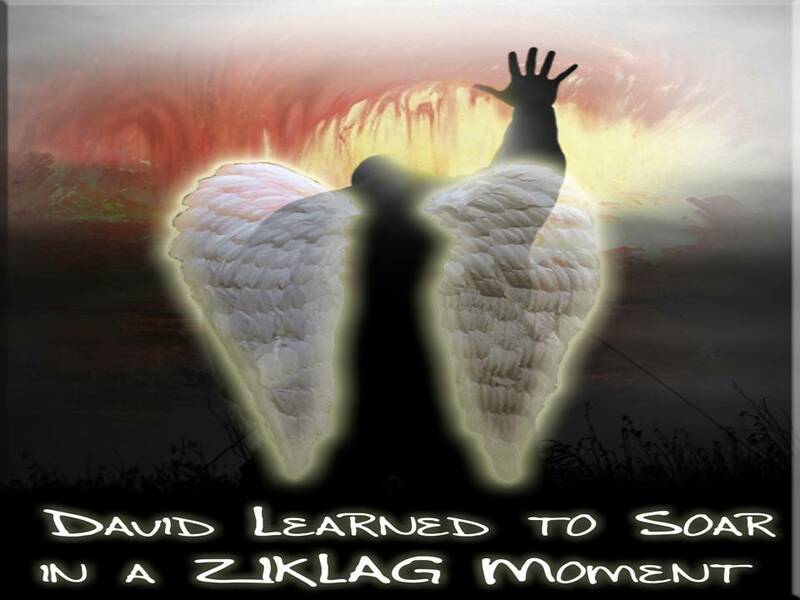 However, whatever happened at that dark moment of his life, all of a sudden, David sprouted Wings and Soared! Pressures Provide Opportunities for You to Soar on the Wings of God! Adam Clarke, A Commentary and Critical Notes, (New York: Abingdon-Cokesbury Press, 1826), WORDsearch CROSS e-book, Under: “1 Samuel 29”. Warren Baker and Eugene Carpenter, The Complete Word Study Dictionary – Old Testament, (Chattanooga, TN: AMG Publishers, 2003), WORDsearch CROSS e-book, Under: ” yizre‘e’l”. Warren Baker and Eugene Carpenter, The Complete Word Study Dictionary – Old Testament, (Chattanooga, TN: AMG Publishers, 2003), WORDsearch CROSS e-book, Under: ” ḥāzaq”. William E. Vine, Vine’s Expository Dictionary of Old Testament and New Testament Words, (Nashville, TN: Thomas Nelson, 1940), WORDsearch CROSS e-book, Under: “Strong (To Be)”.